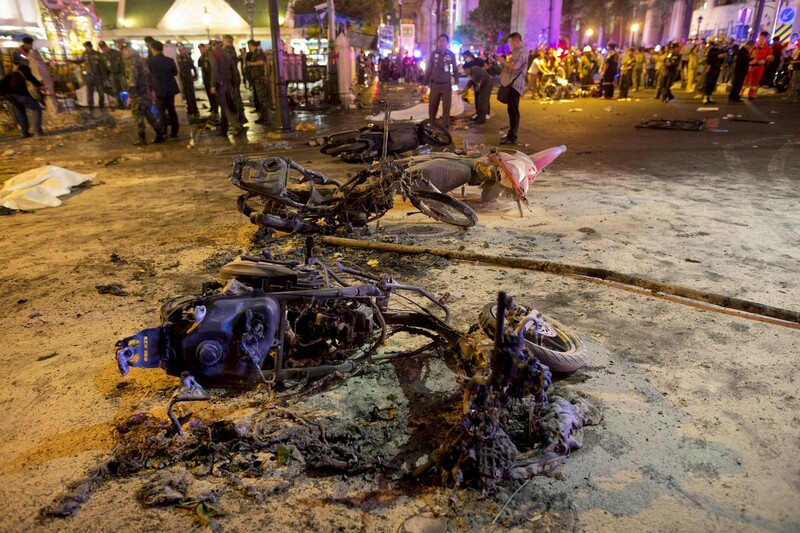 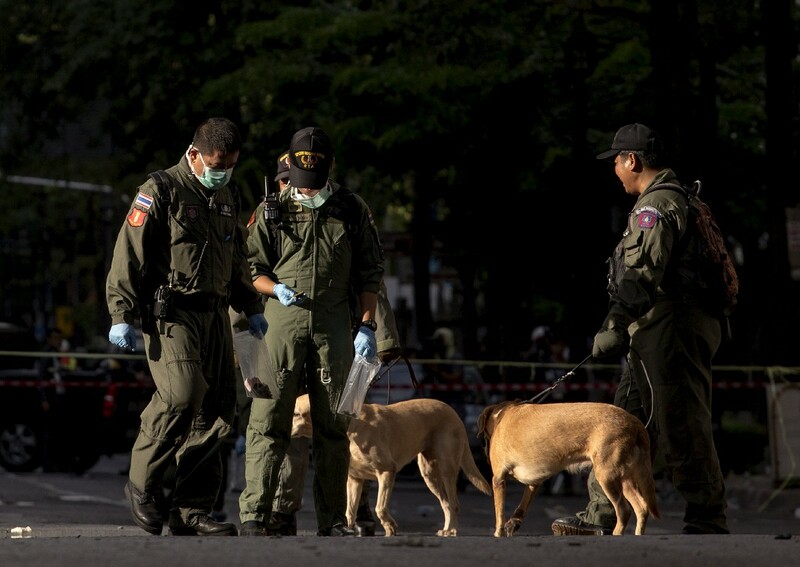 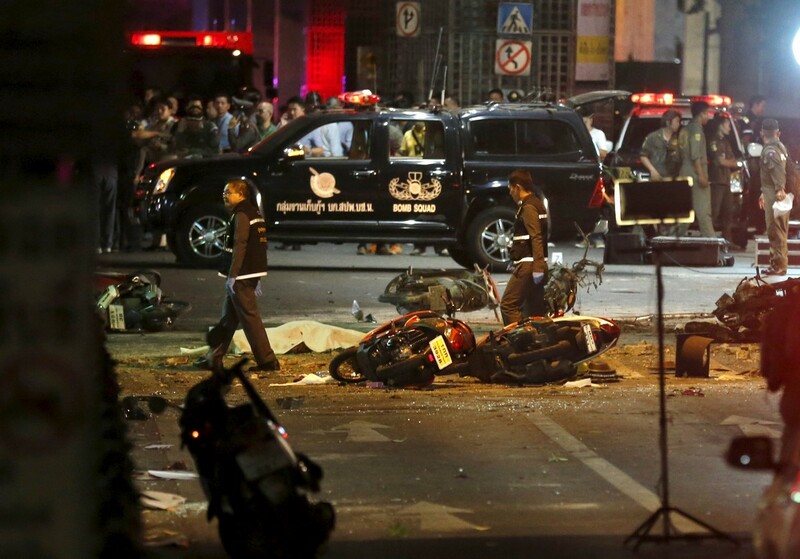 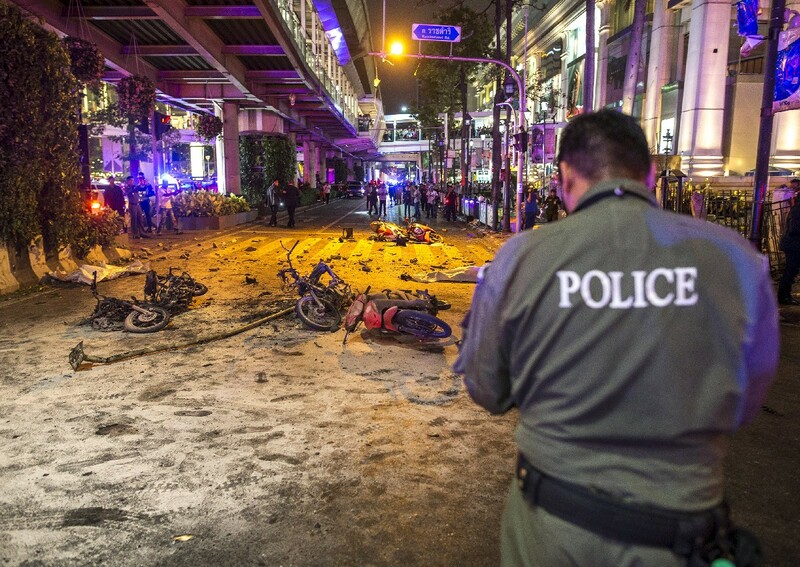 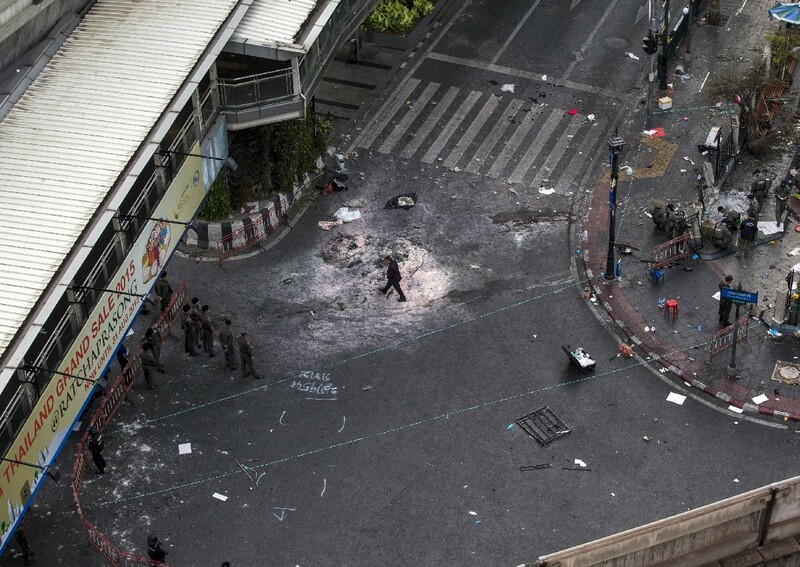 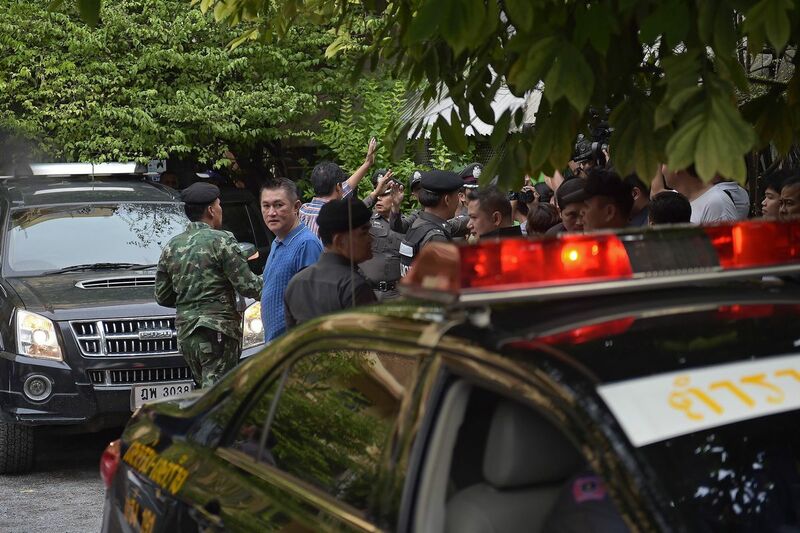 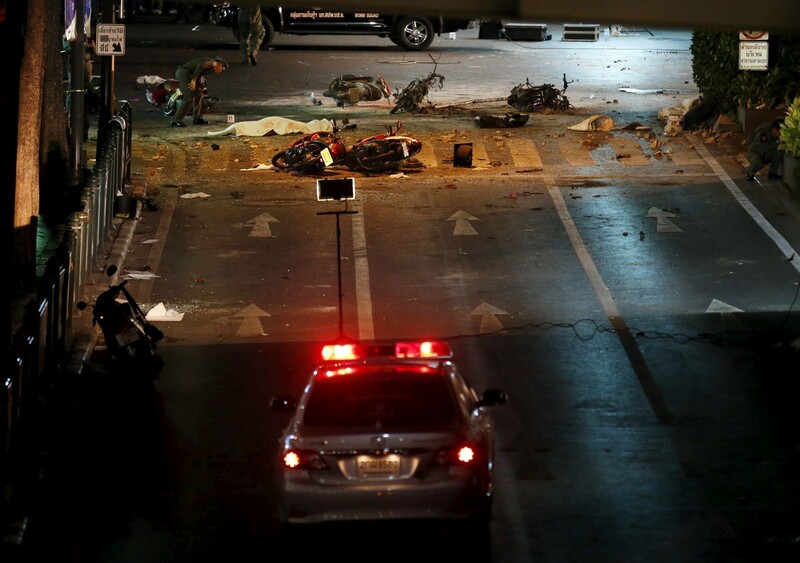 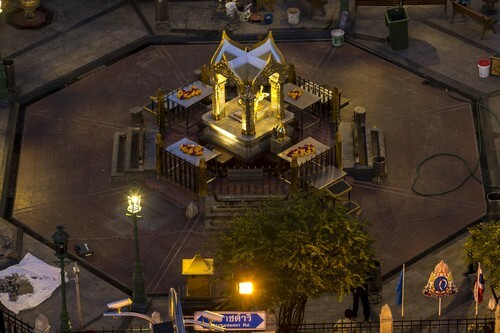 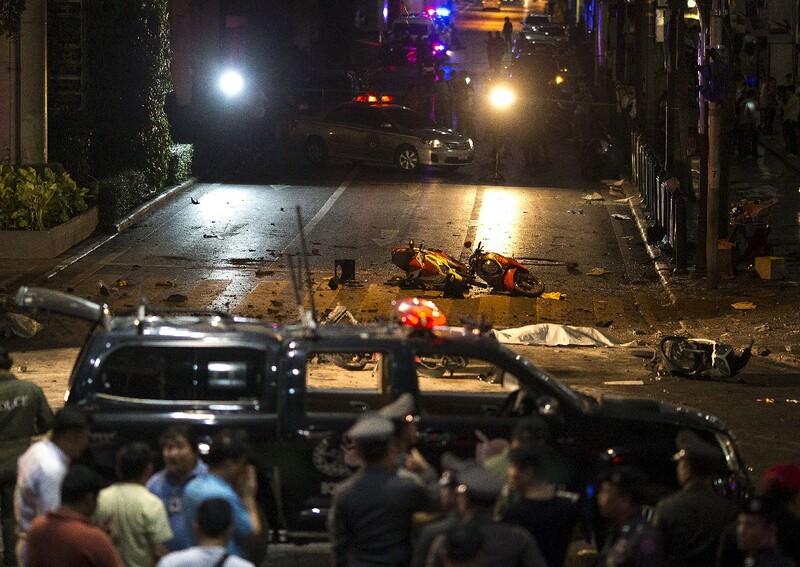 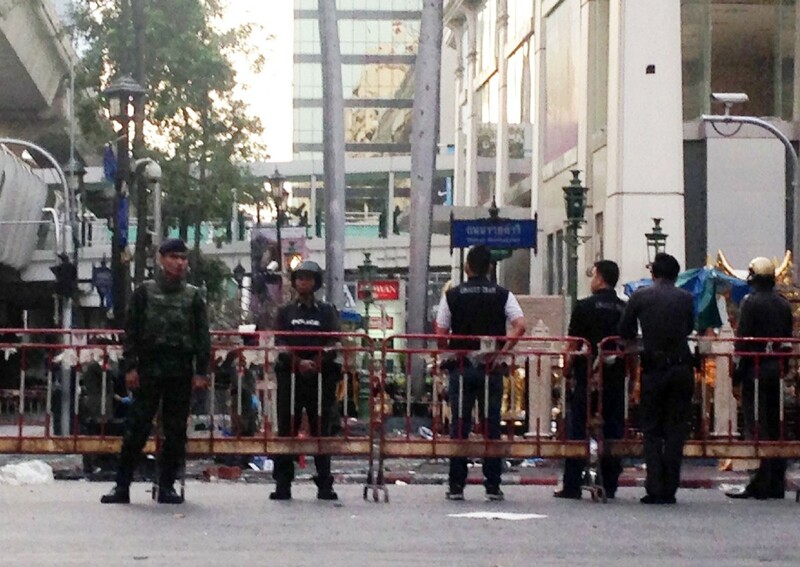 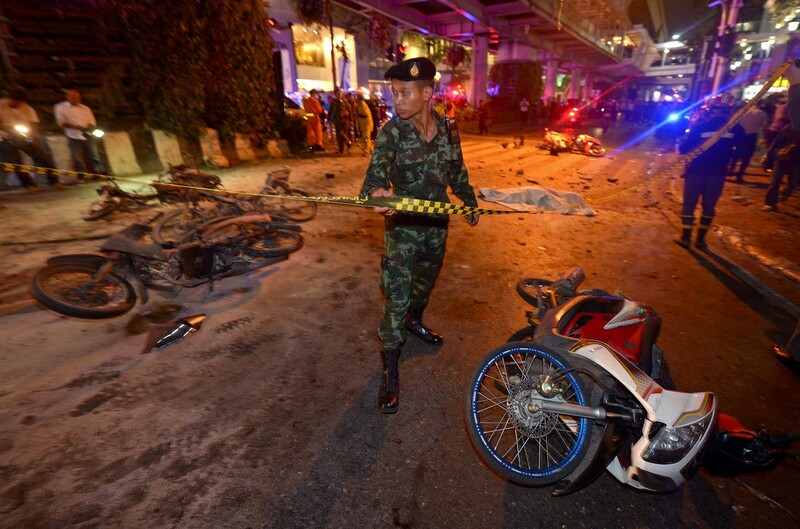 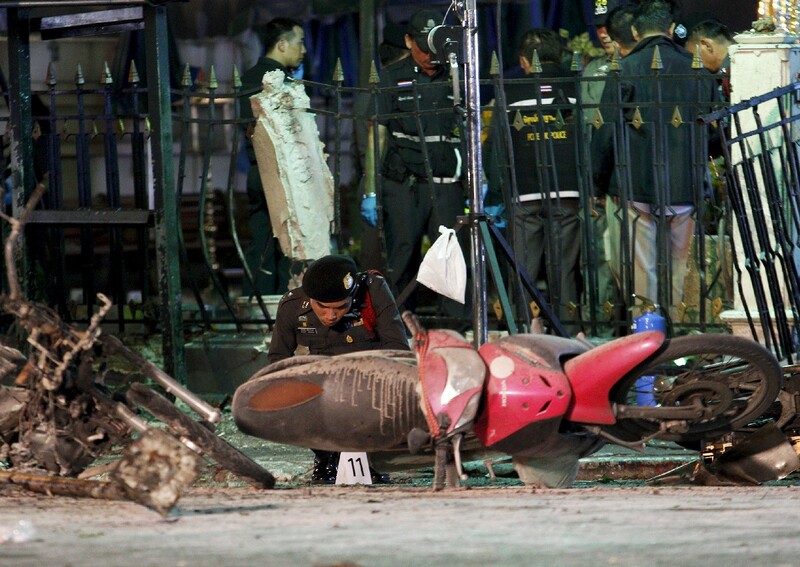 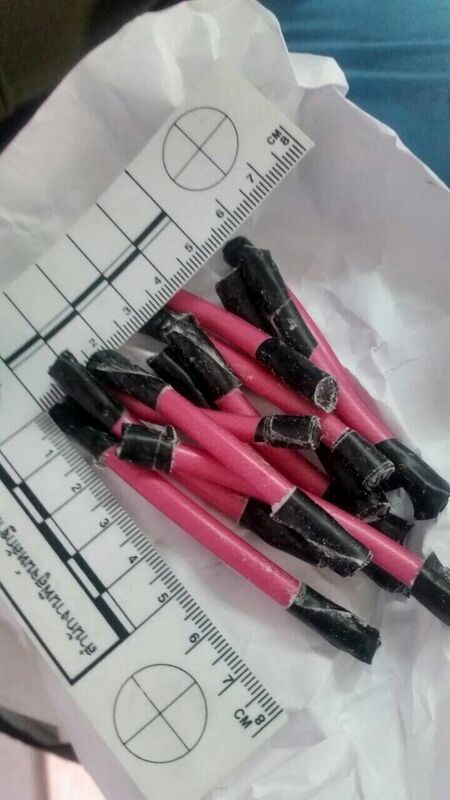 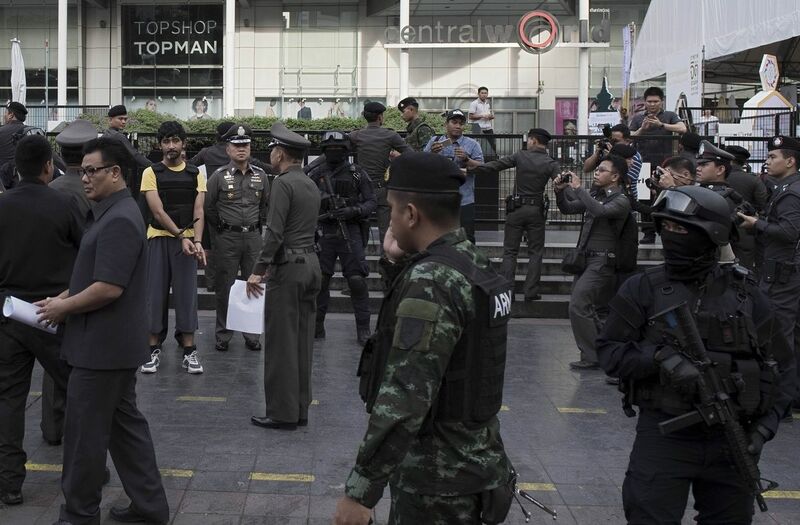 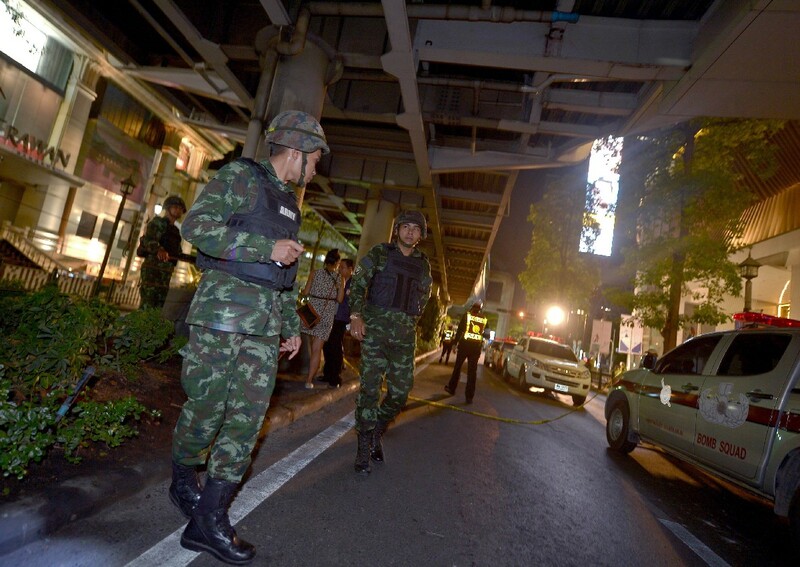 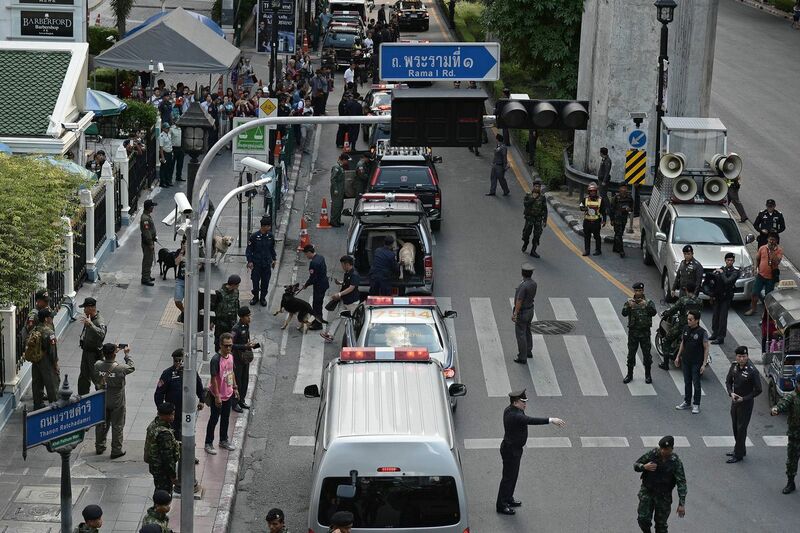 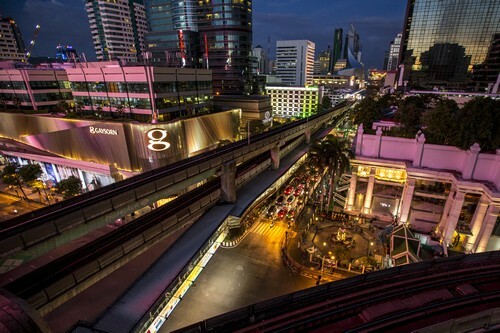 BANGKOK - Thailand's police chief said on Thursday at least 10 people were suspected of involvement in a bomb attack in Bangkok this week that killed 20 people, more than half of them foreigners. 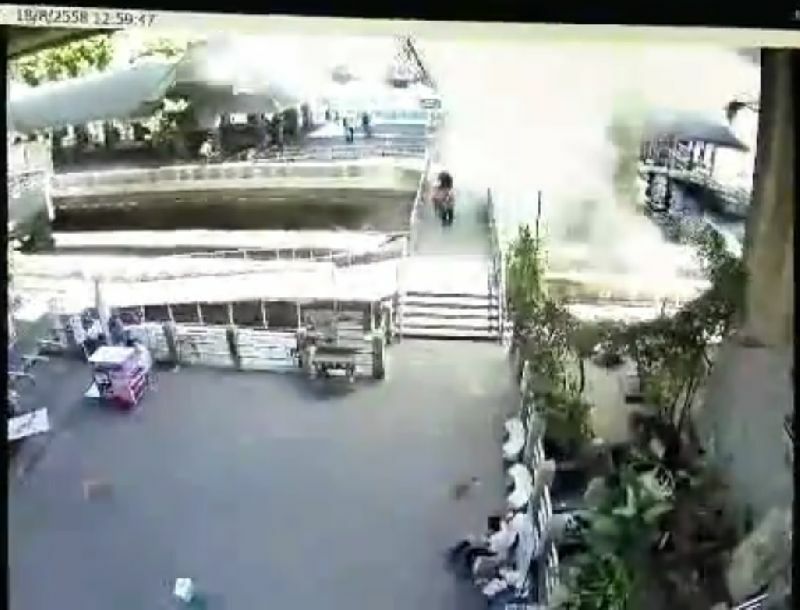 Earlier, police said they believed at least three people, including a foreign man, were involved in the attack on a famous city shrine. 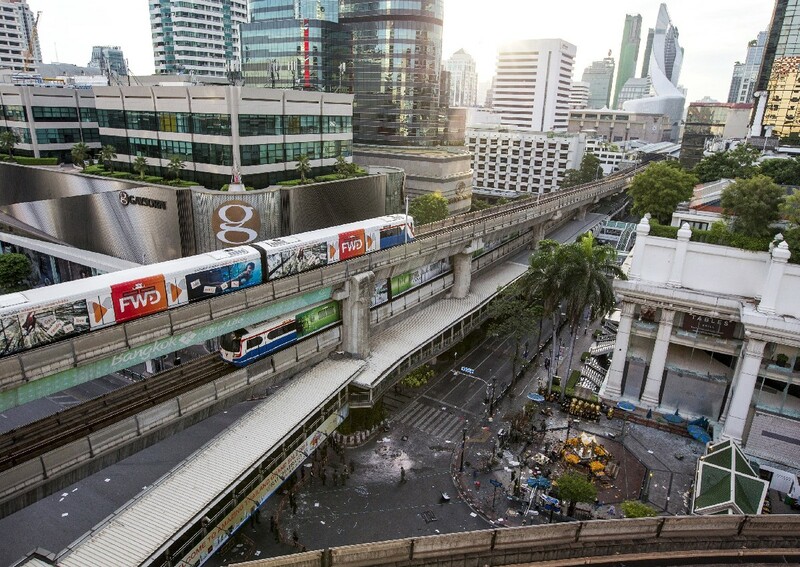 "It is a big network. 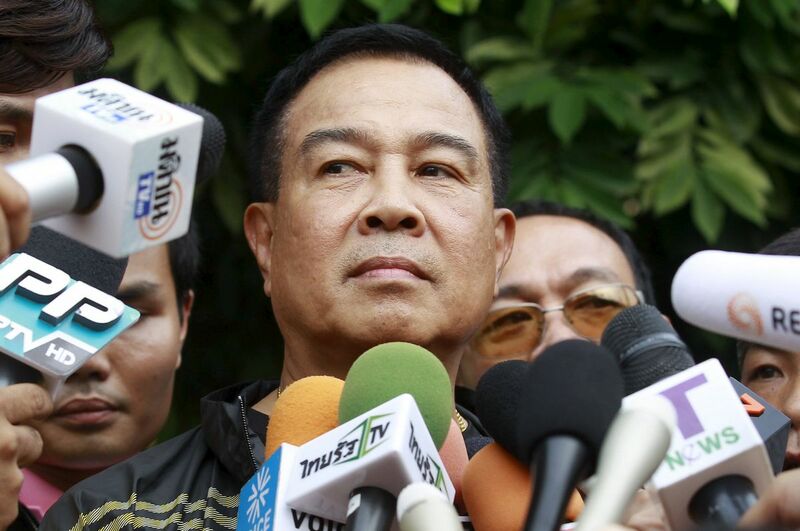 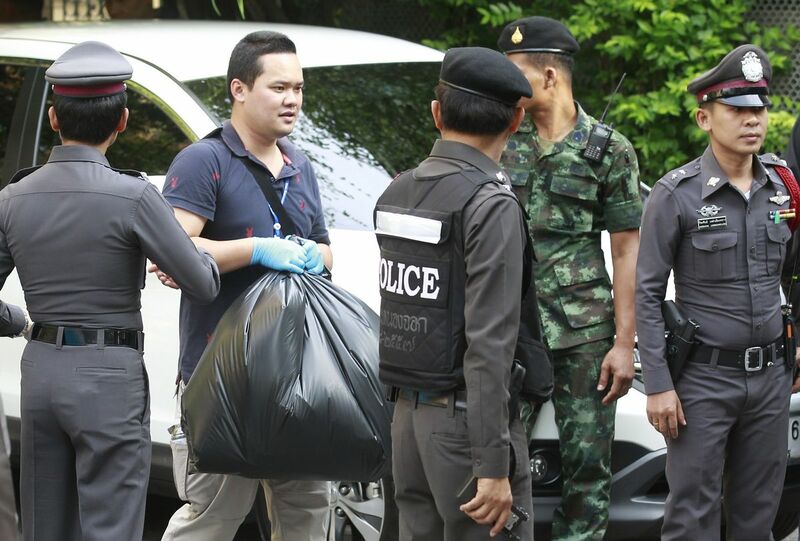 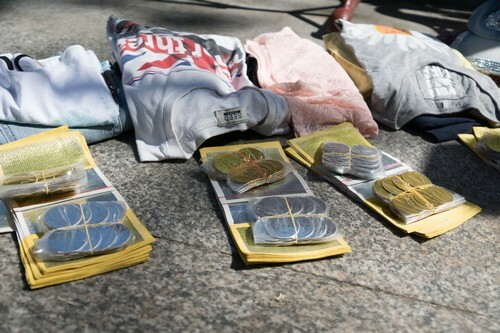 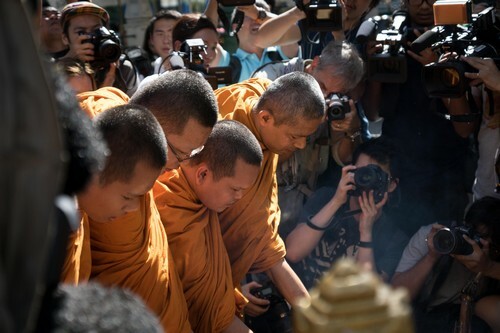 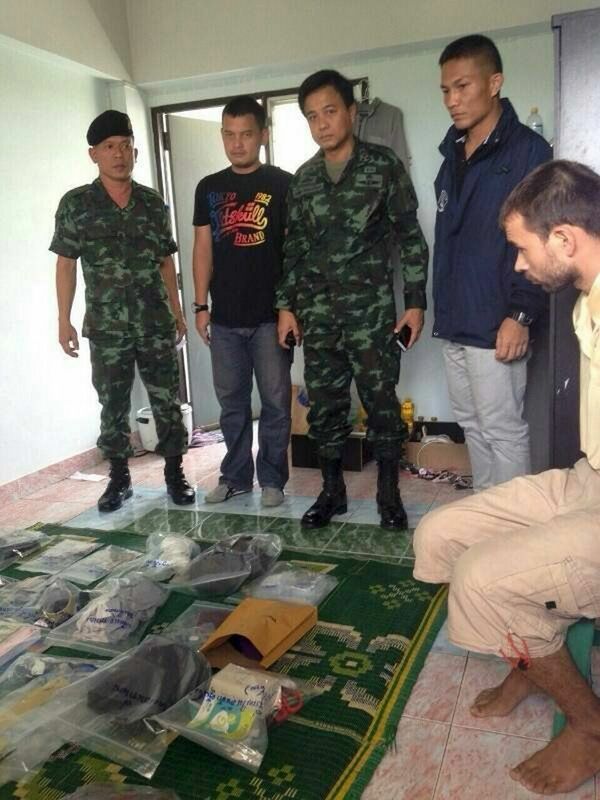 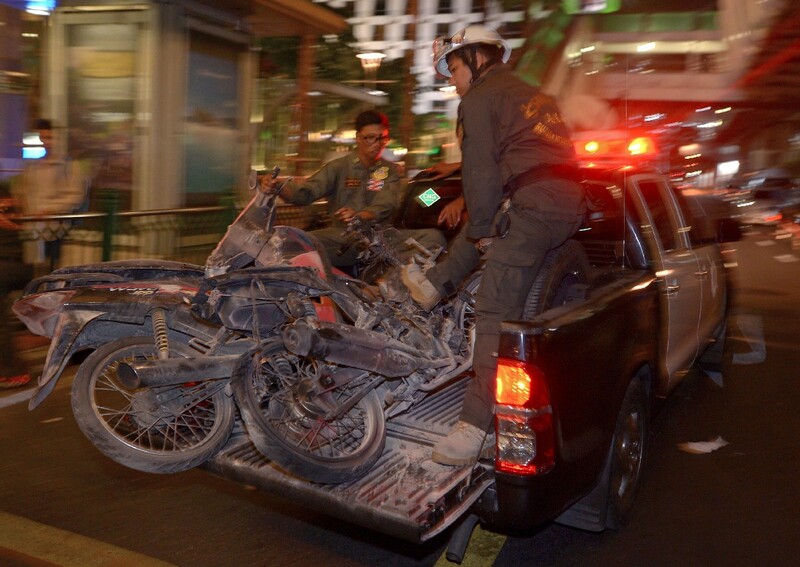 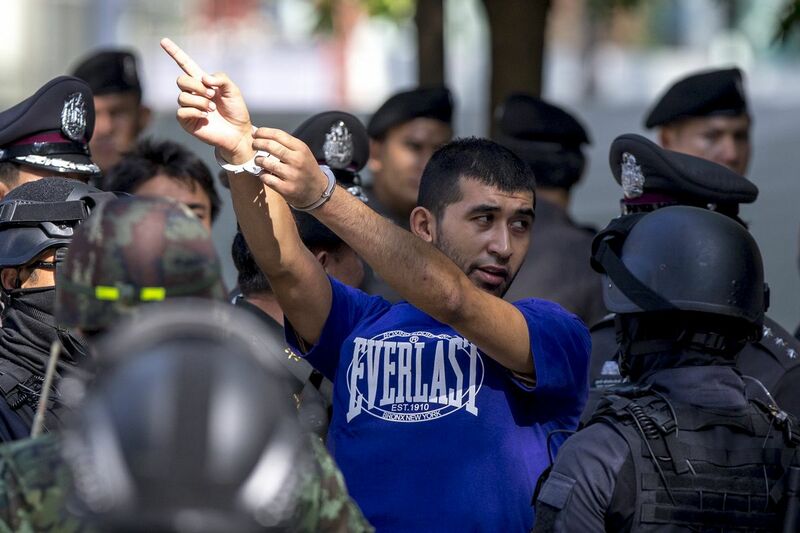 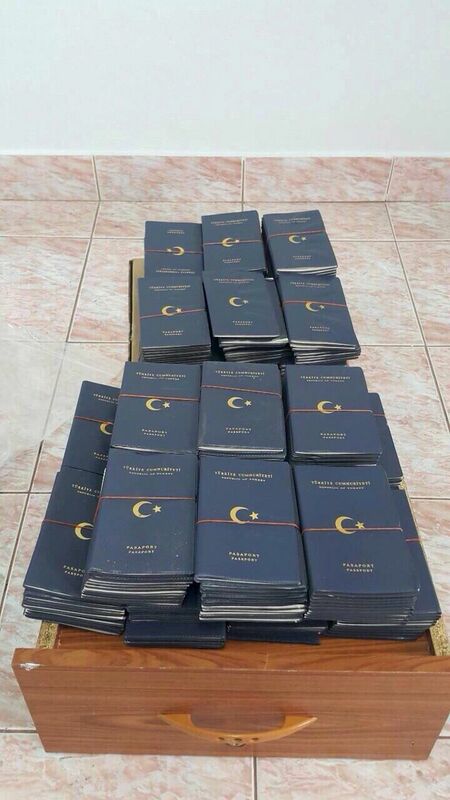 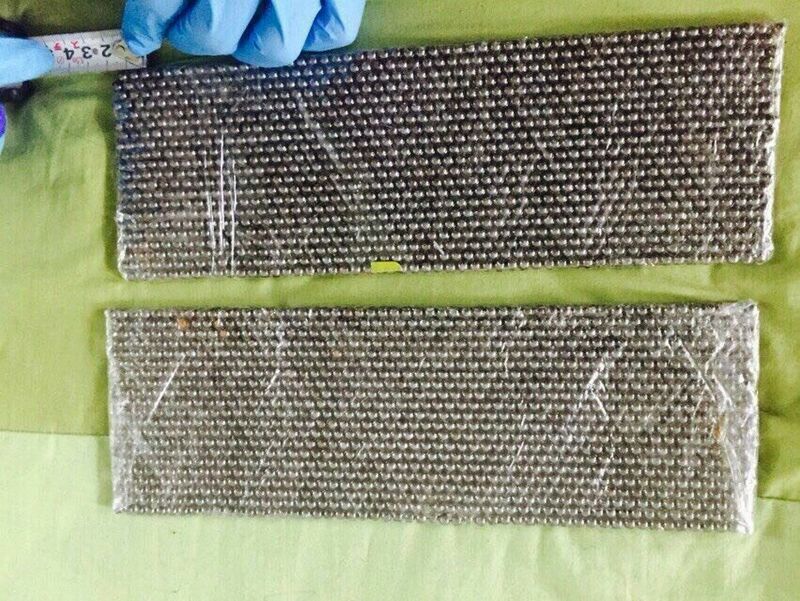 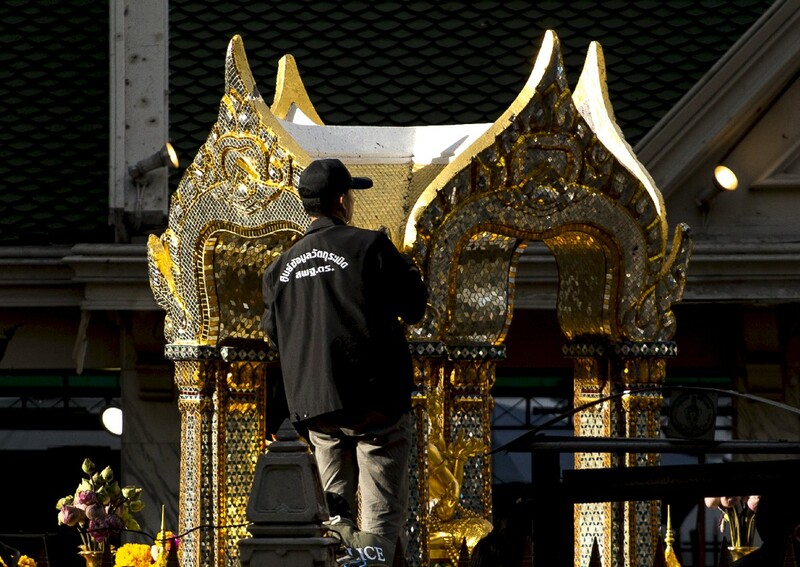 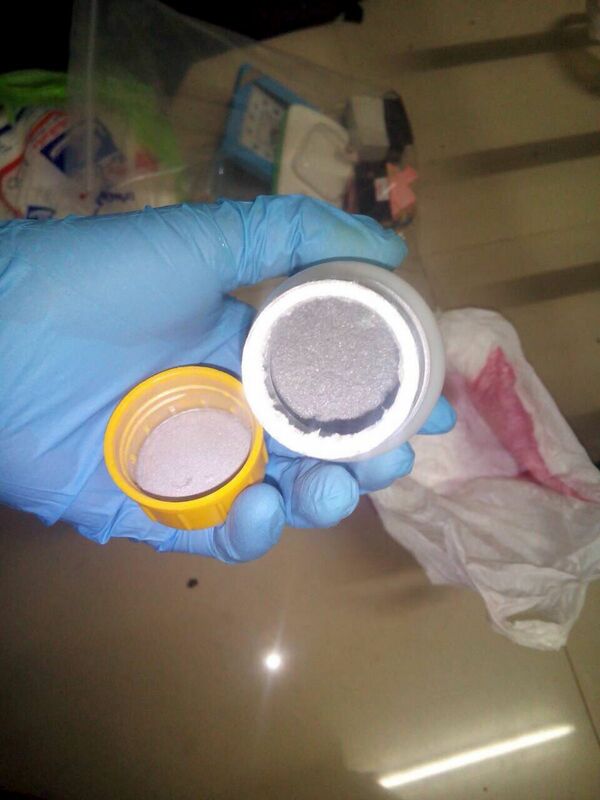 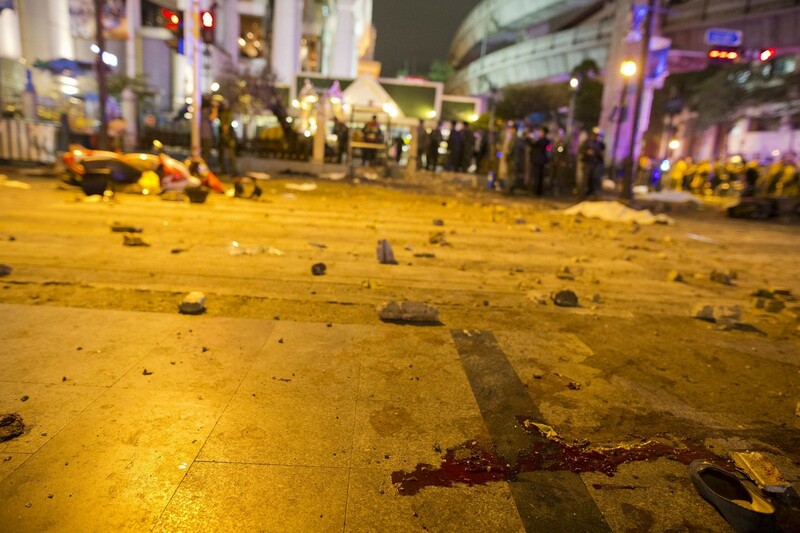 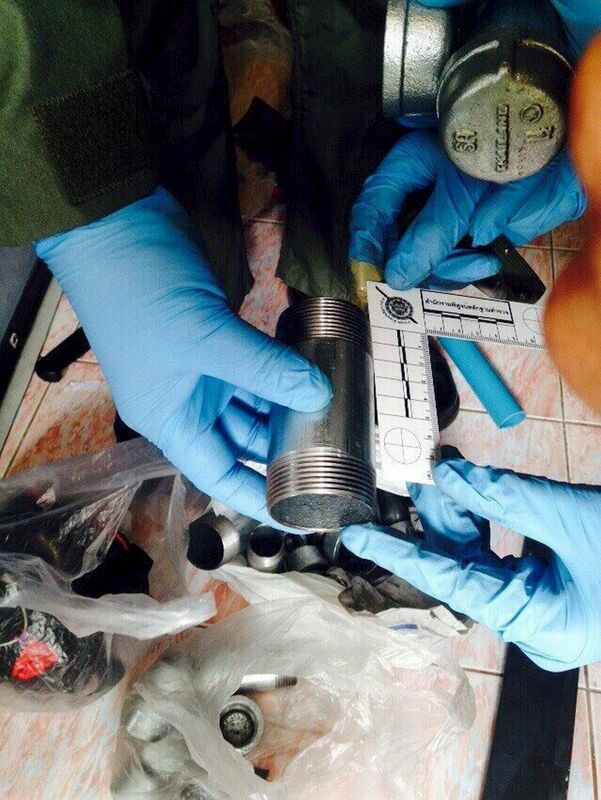 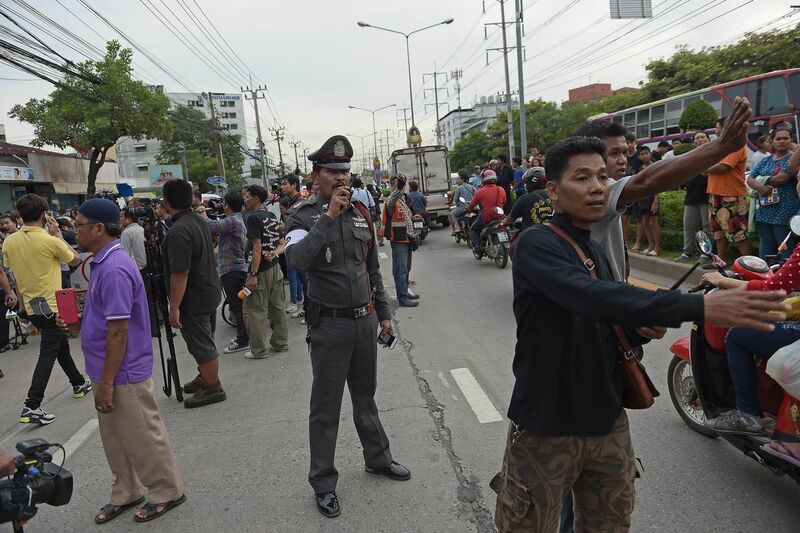 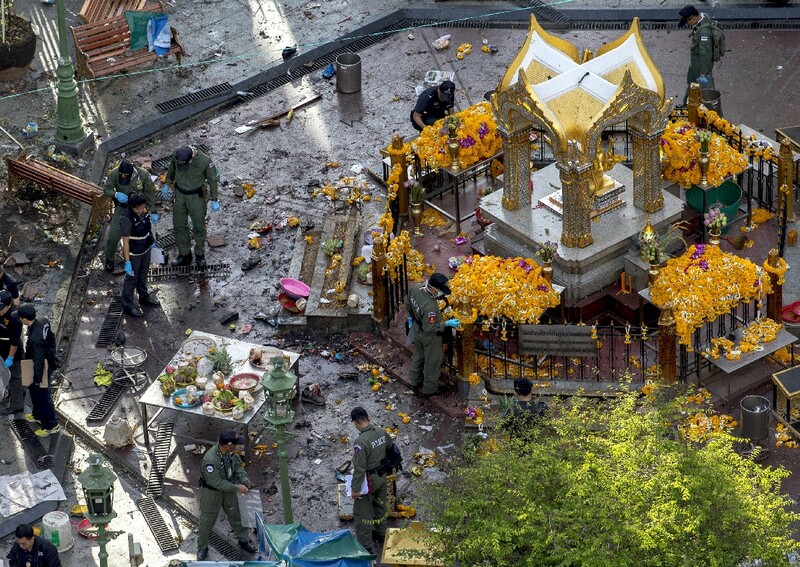 There was preparation using many people," police chief Somyot Poompanmuang told reporters. 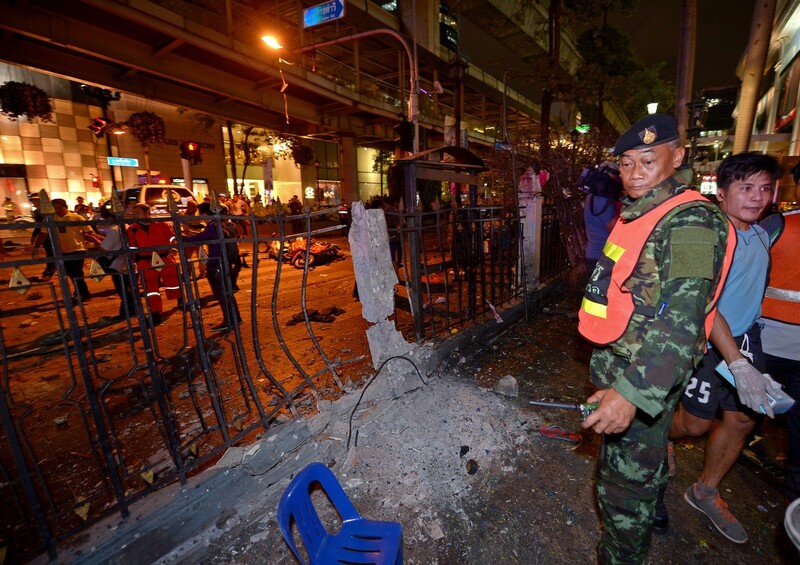 "This includes those who looked out on the streets, prepared the bomb and those at the site and ... those who knew the escape route," he said. 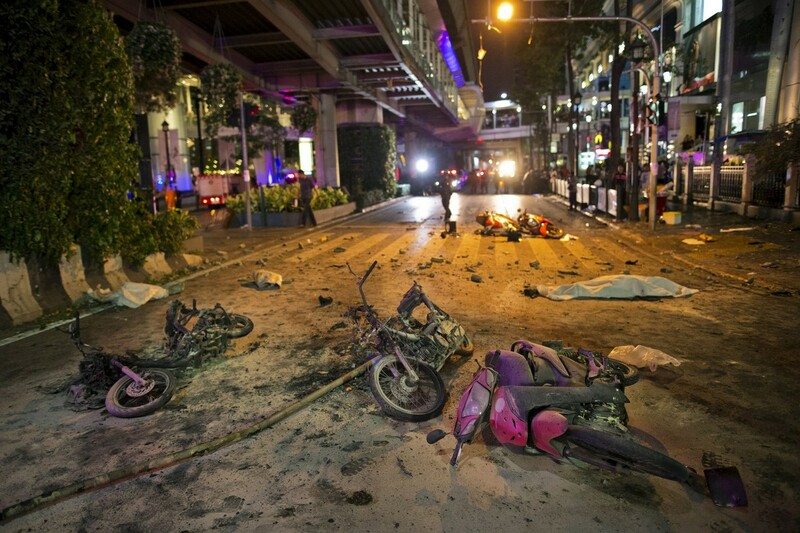 "There must have been at least 10 people involved." 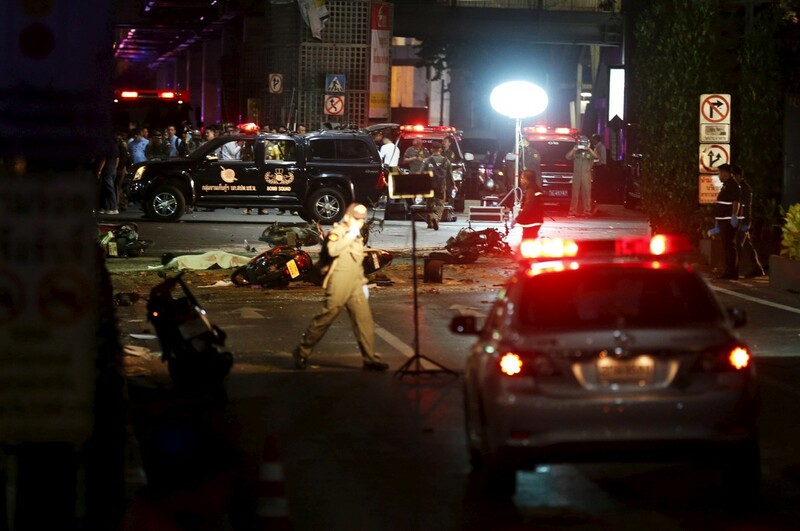 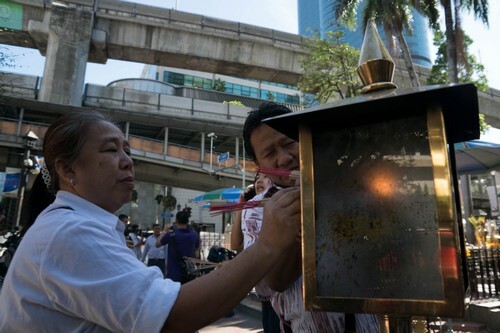 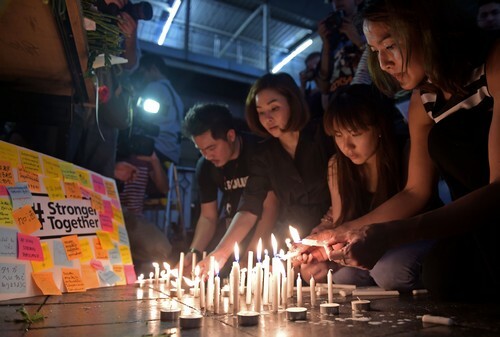 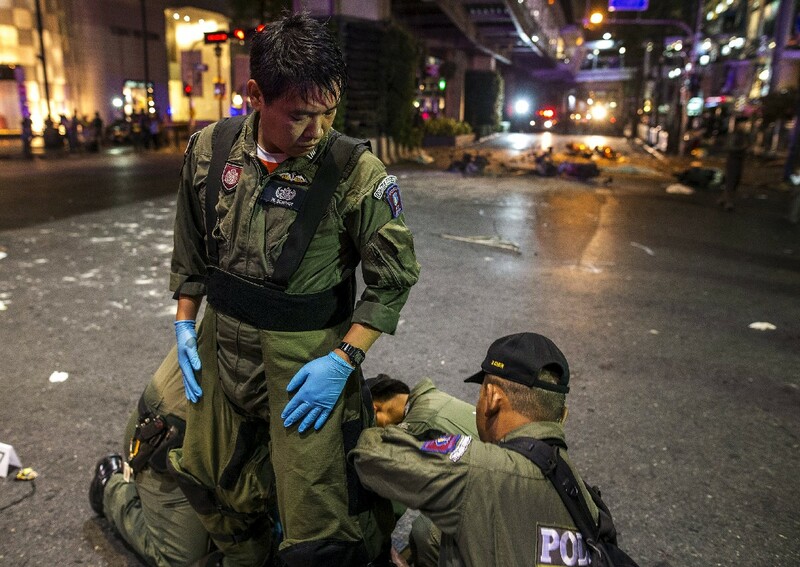 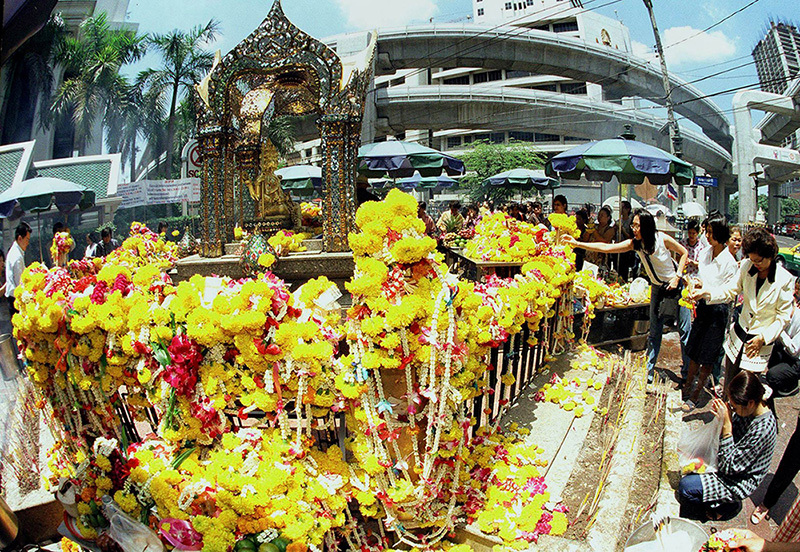 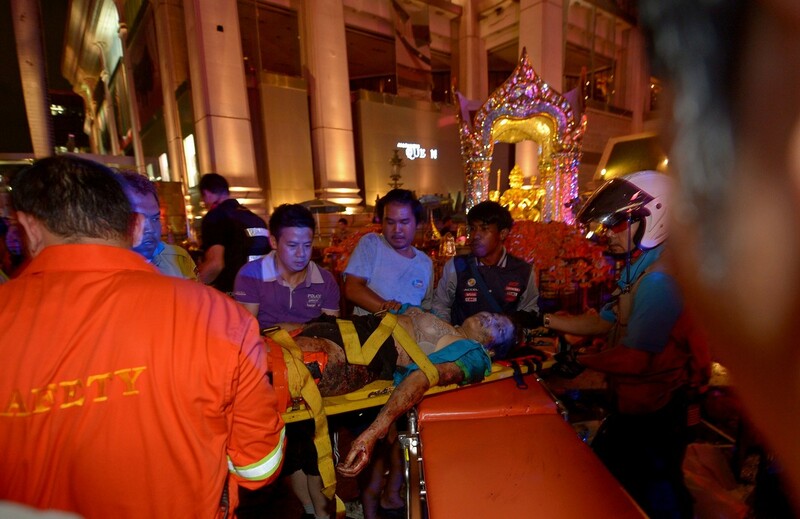 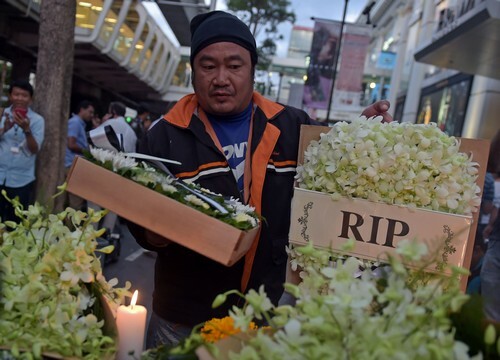 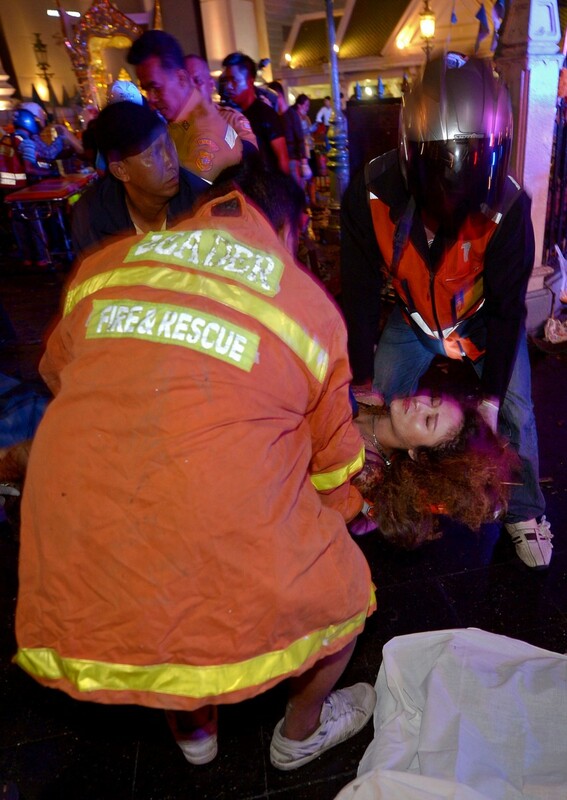 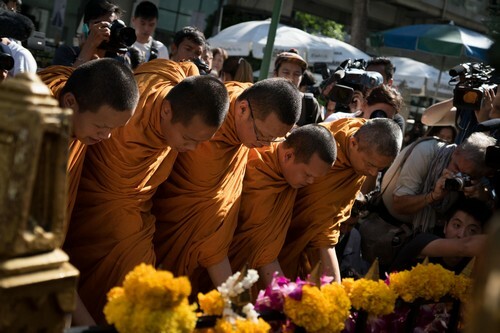 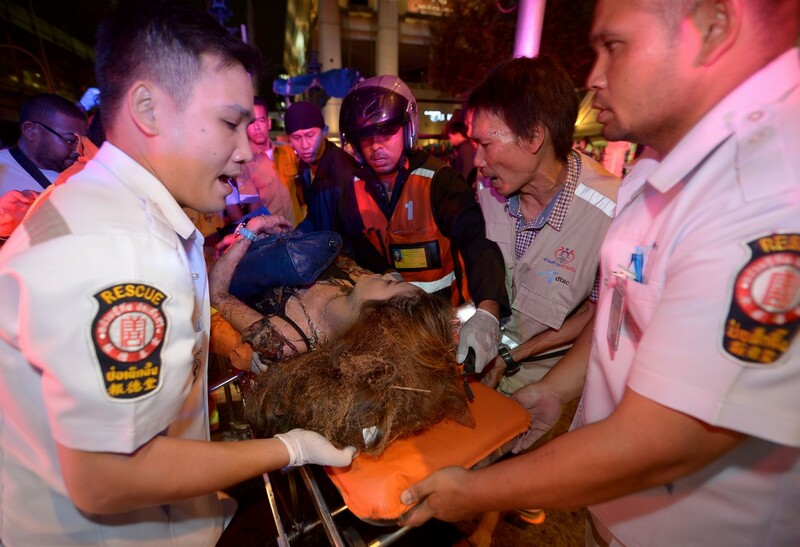 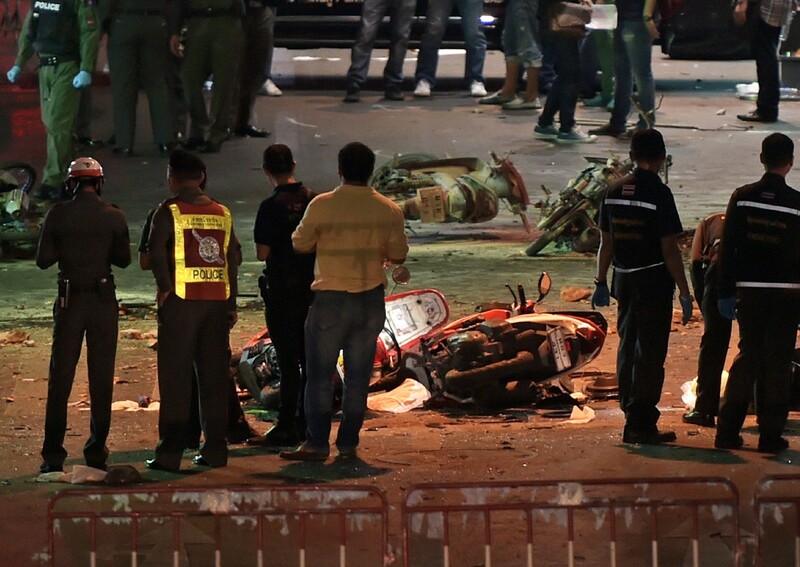 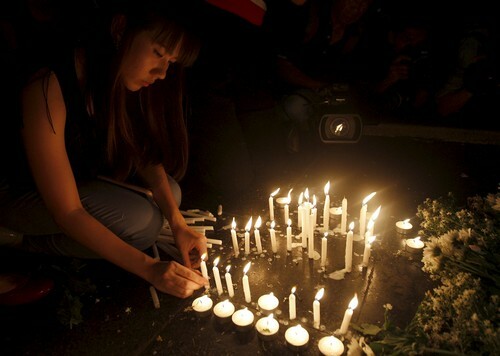 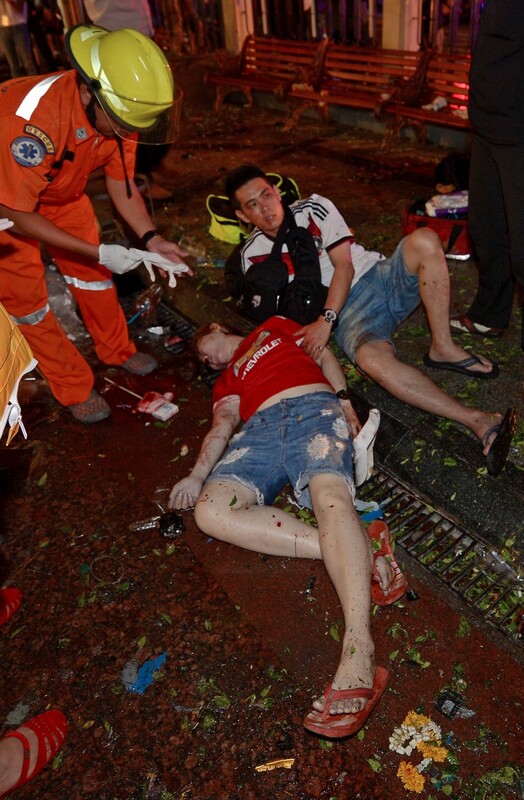 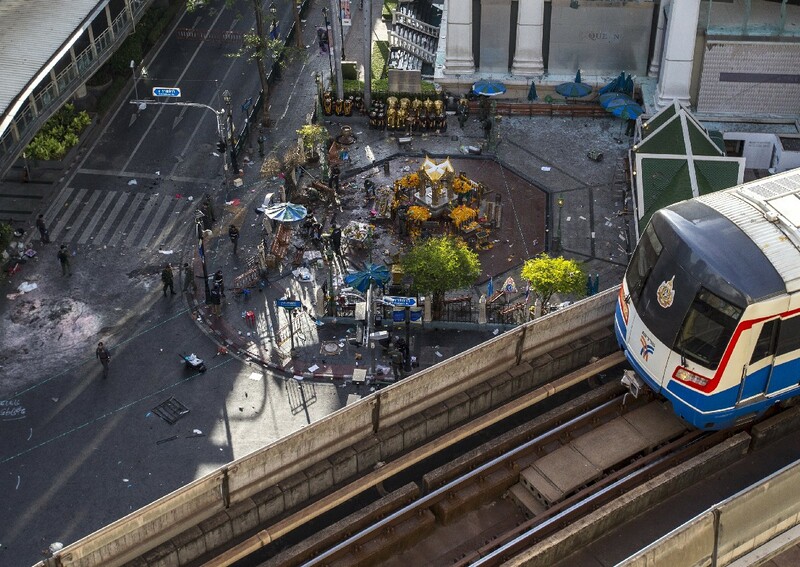 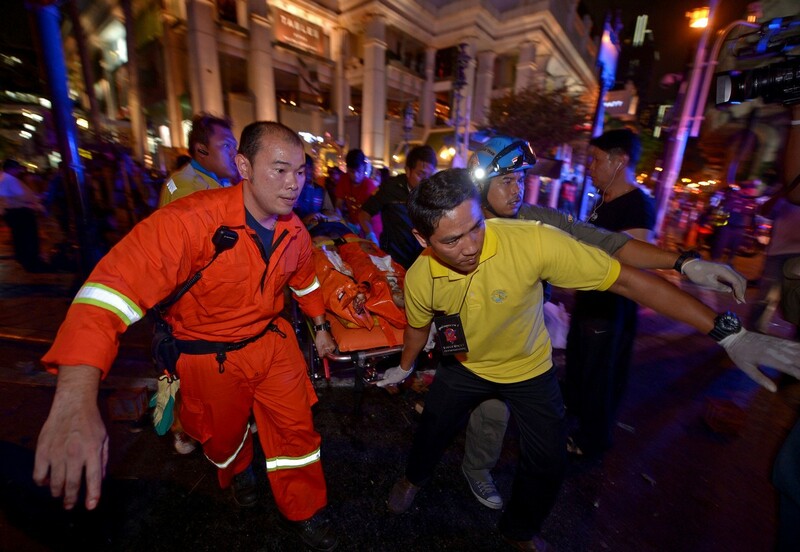 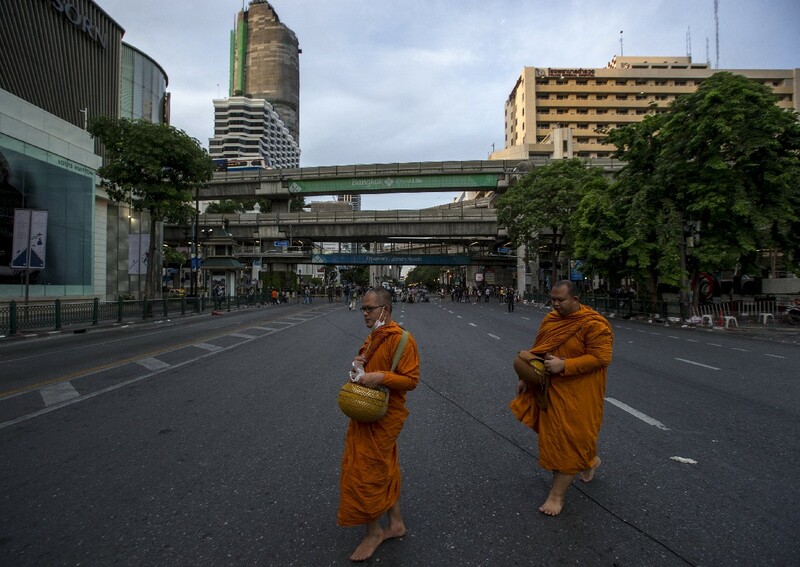 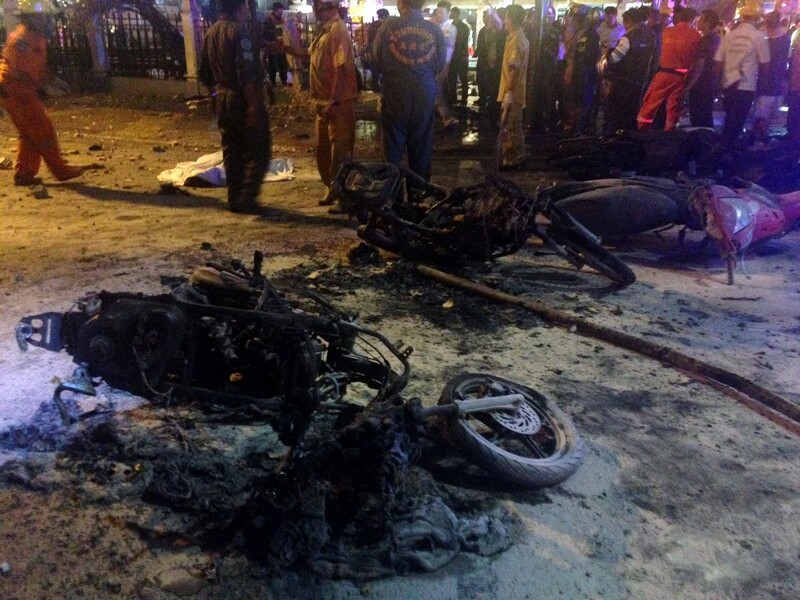 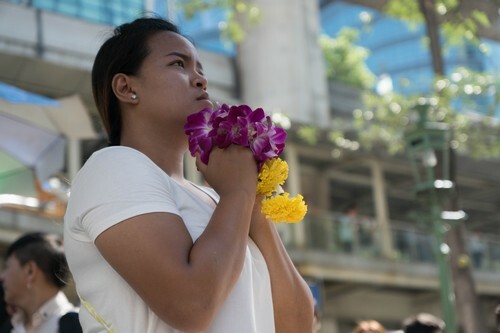 A reenactment of the deadly Bangkok blast by Thailand's Nation TV channel has caused an uproar for its insensitivity. 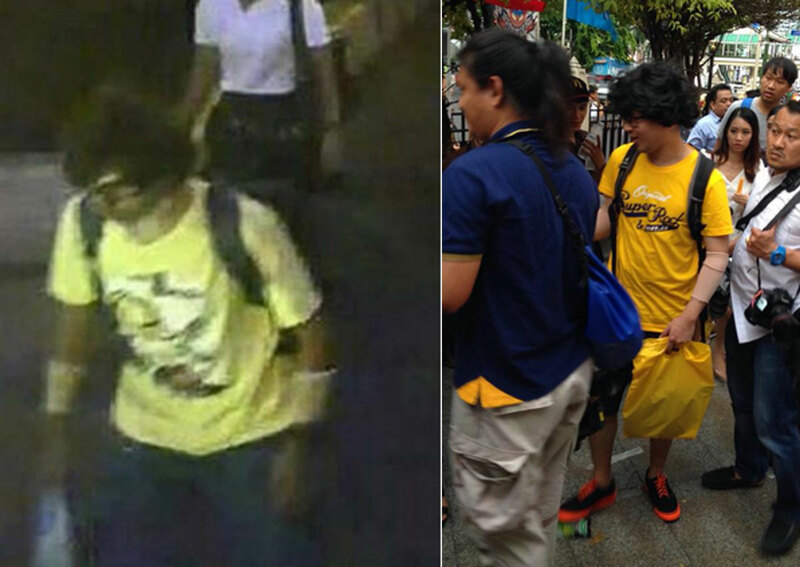 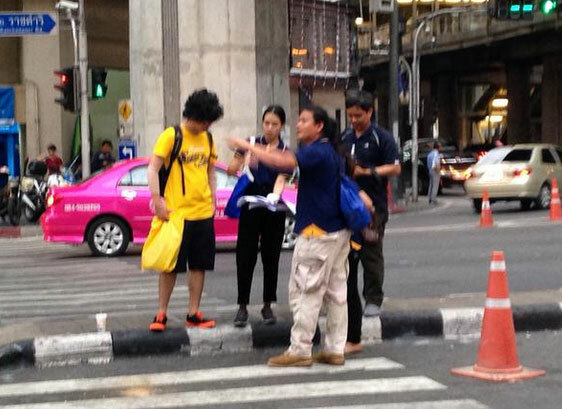 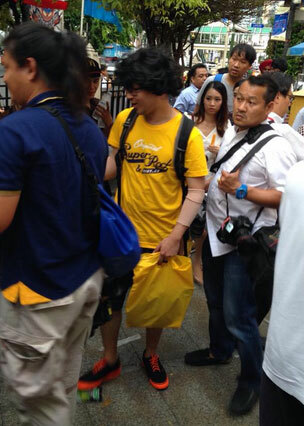 An actor clad in a yellow shirt and wig suspiciously similar to the bomb suspect was spotted by Twitter user @BoyOfHeaven near the Erawan shrine. 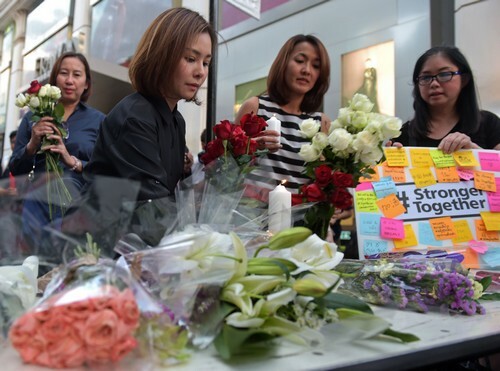 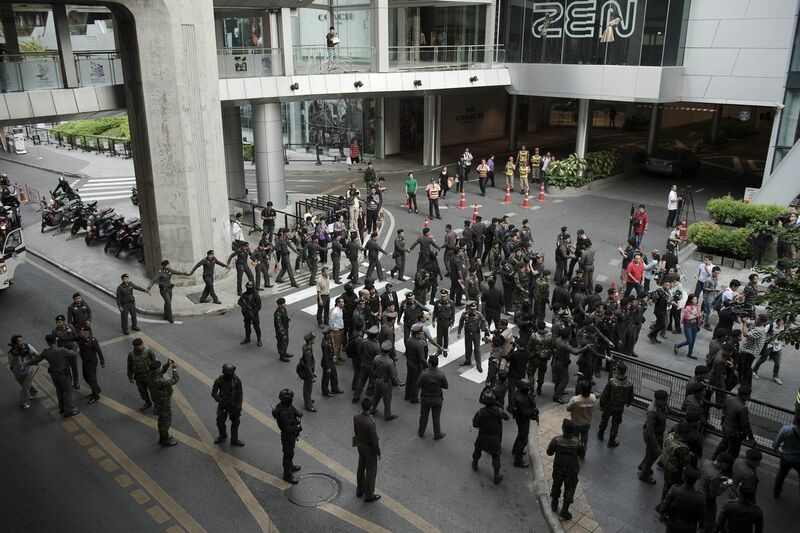 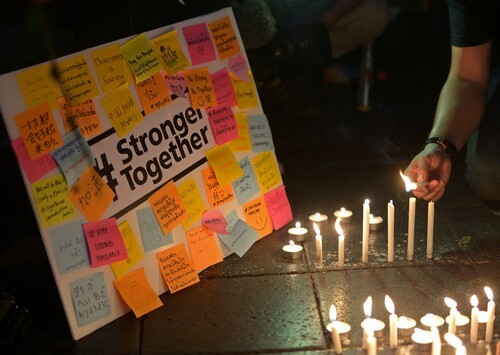 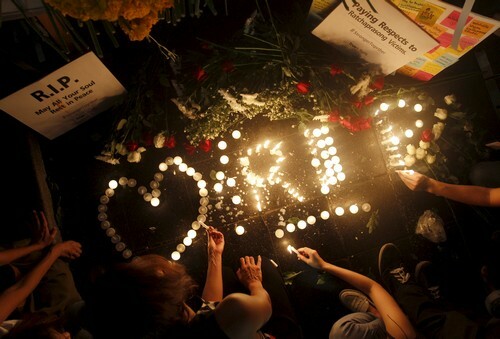 According to Channel NewsAsia, people at the shrine were cursing at the actor. 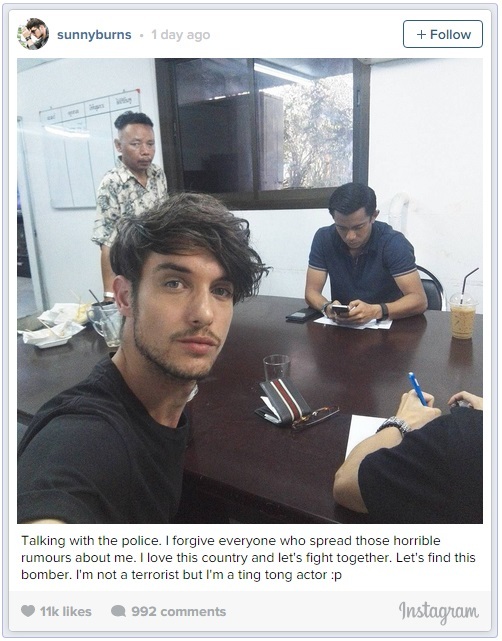 He was later asked to leave by the police. 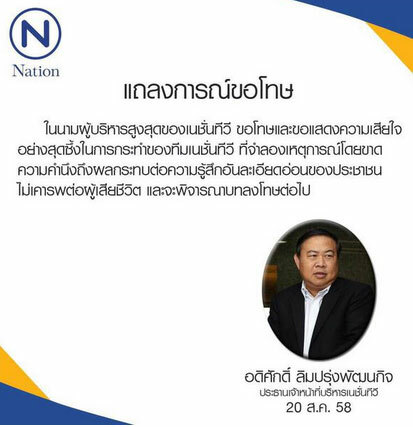 The president of Nation Broadcasting Corporation later issued an apology. 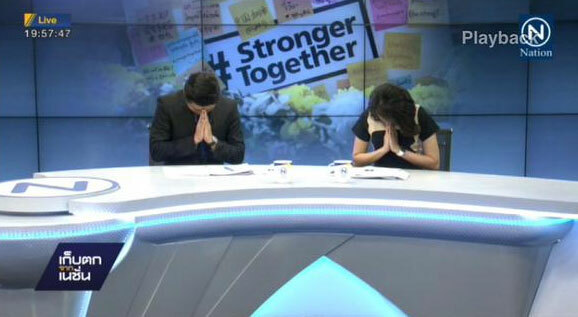 "On behalf of Nation TV, I'd like to express my sincere apologies and remorse for our attempt to reenact the scene without thinking about the impact it might have on the feelings of the public, and for a lack of respect for the deceased," Adisak Limprungpatanakij said. 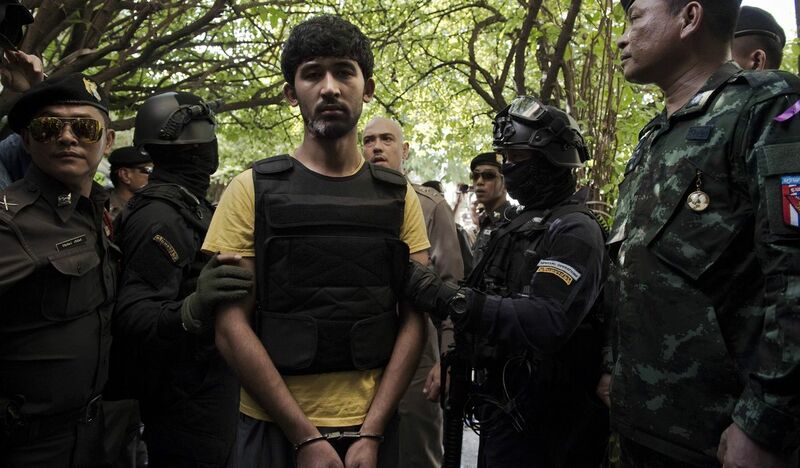 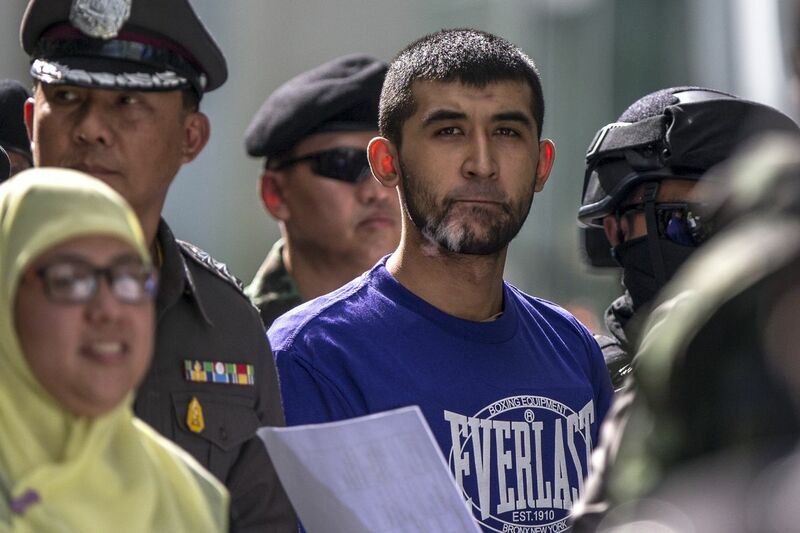 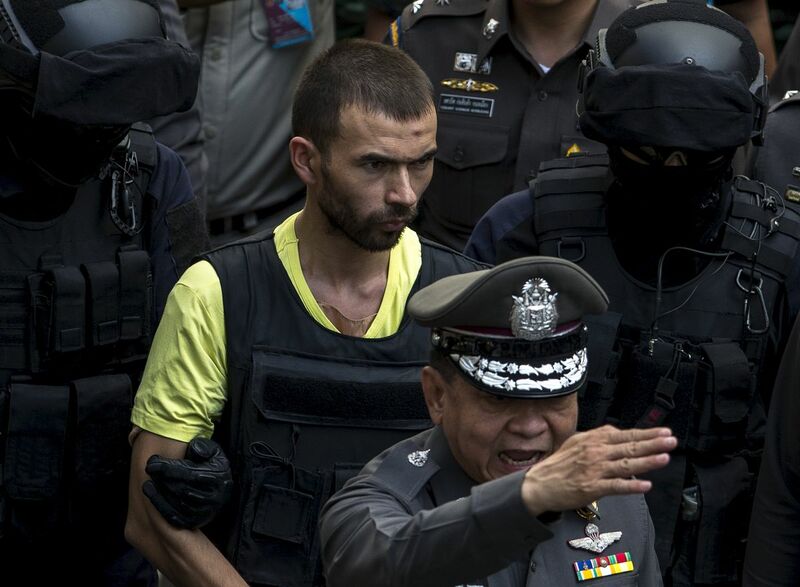 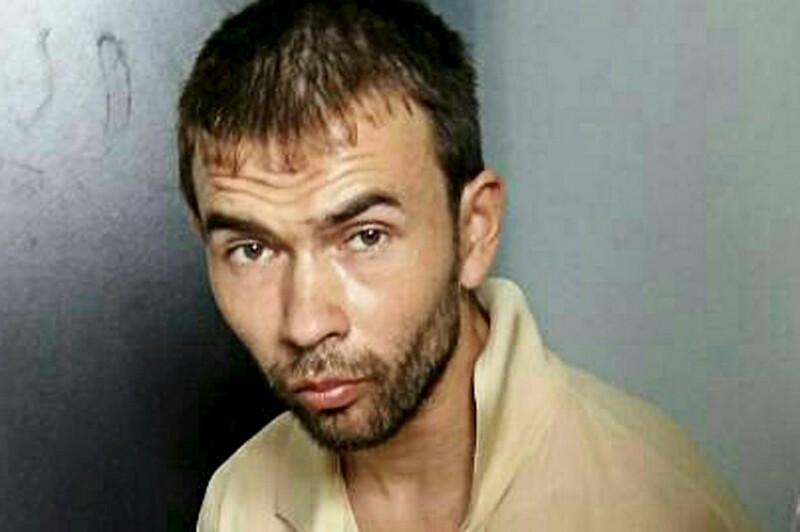 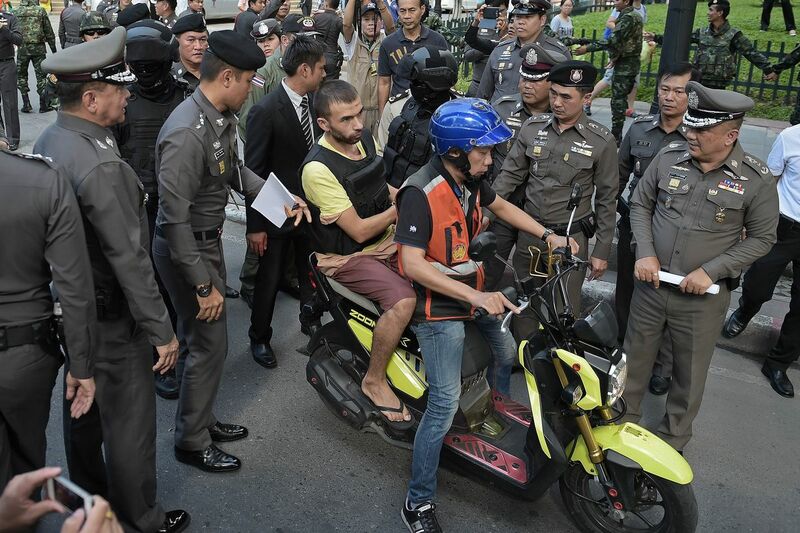 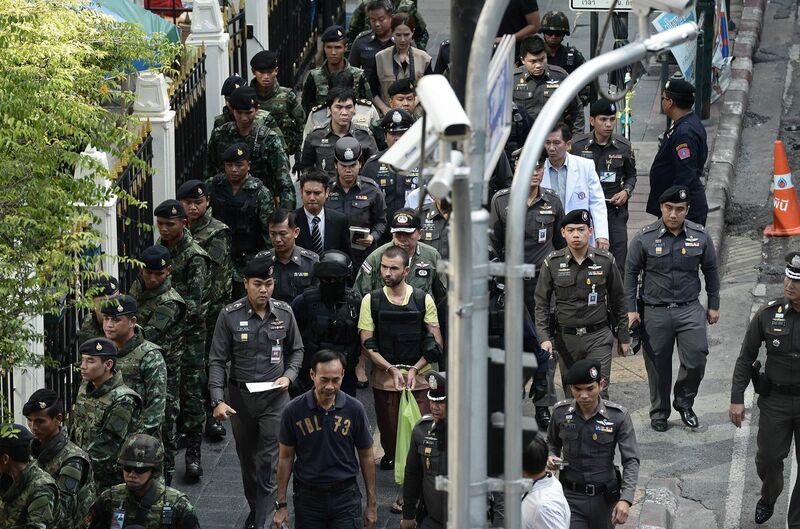 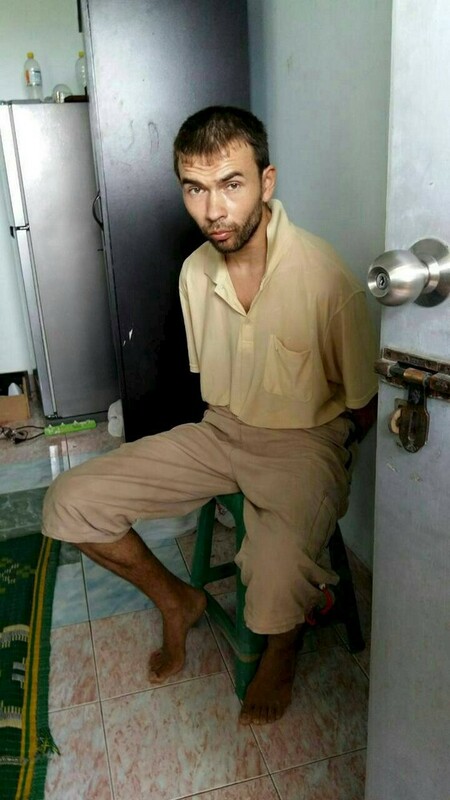 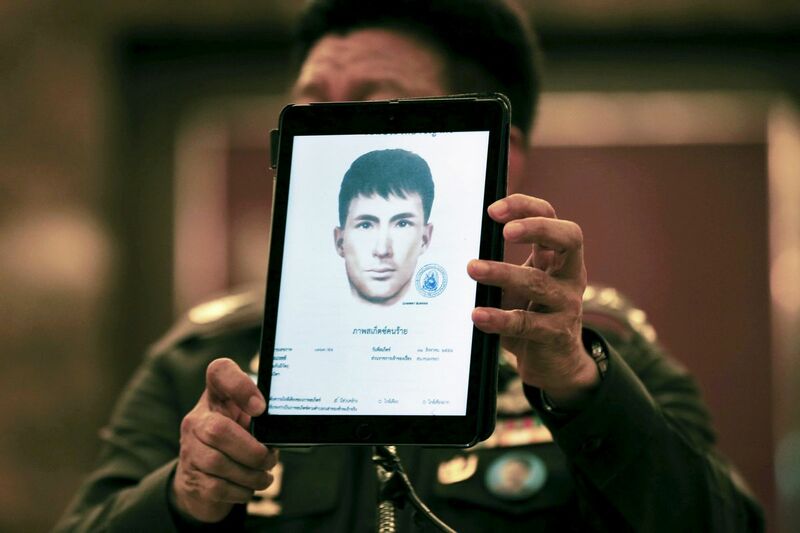 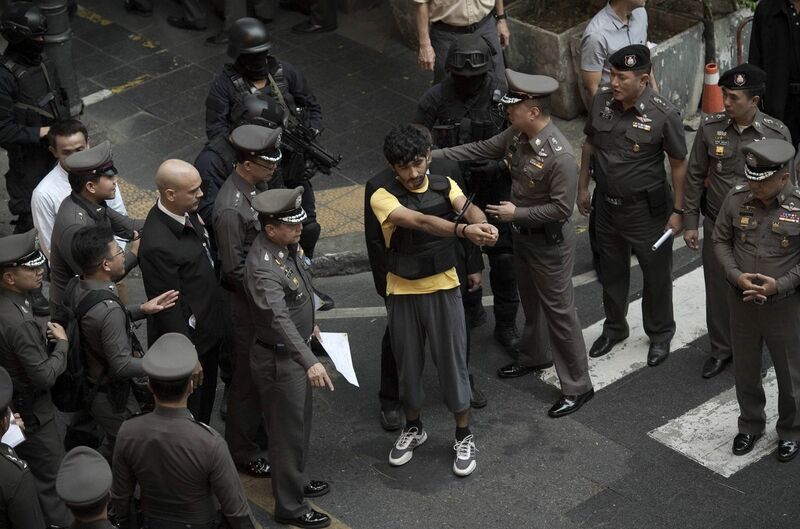 An Australian model-actor had to turn himself in to the police after he was mistaken as the man behind the deadly bombing in Bangkok. 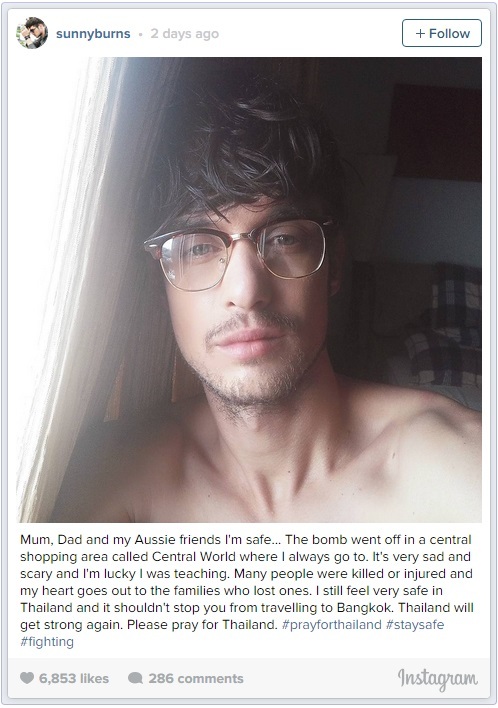 Sunny Burns, 26, who also works as a private English tutor in Thailand, posted a selfie on the day of the bombing to let his parents and friends in Australia know that he is safe. 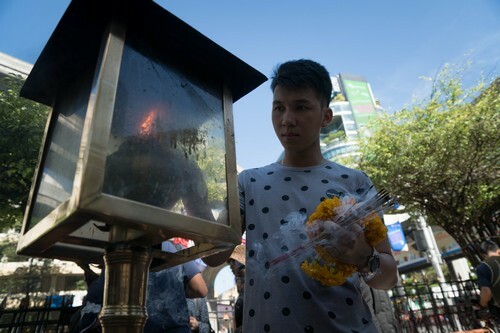 He also posted a photo of himself at the popular Erawan Shrine - the scene of the Monday night blast - which he visited a few days before, on Instagram, saying that "Thailand is and will always be a safe and friendly place". 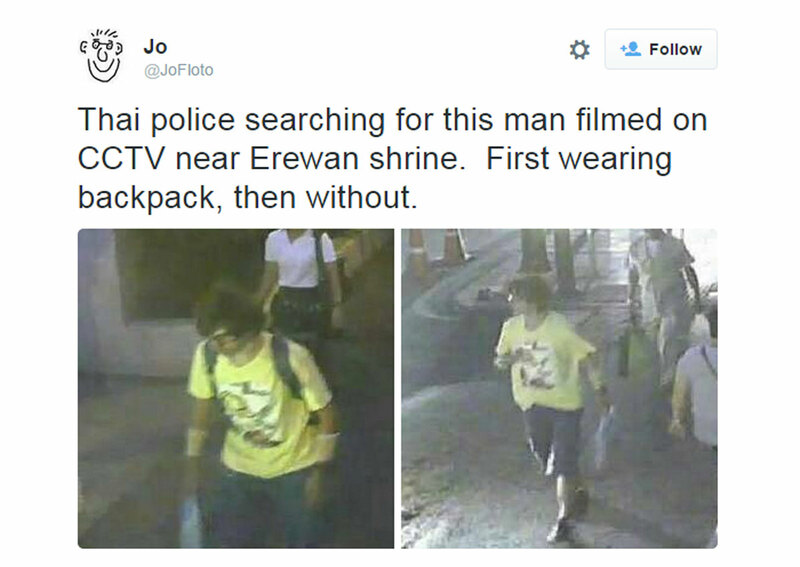 Little did he know that his selfie would go viral. 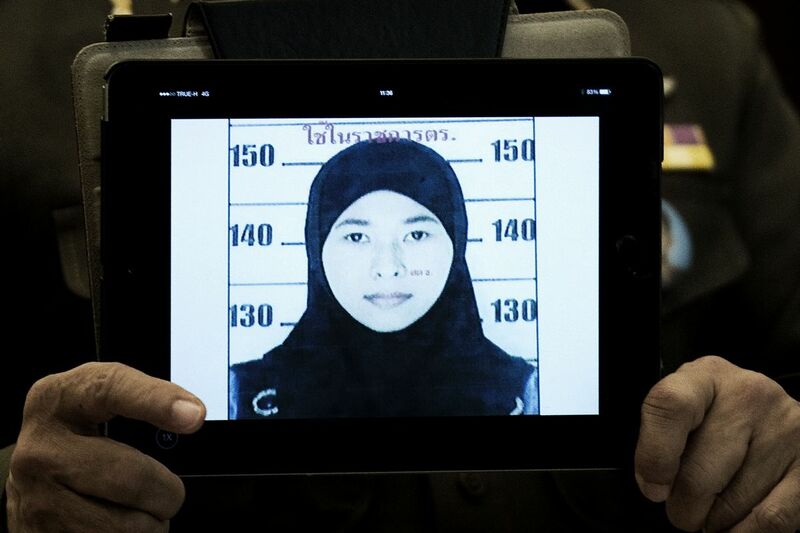 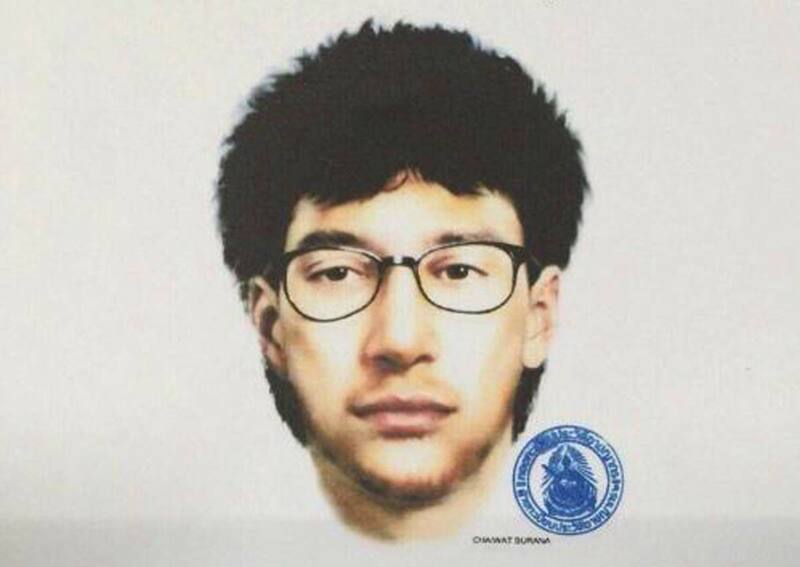 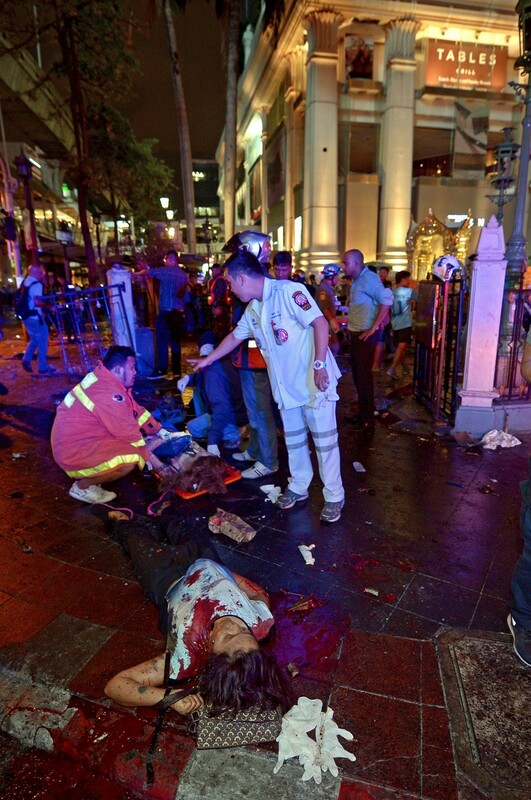 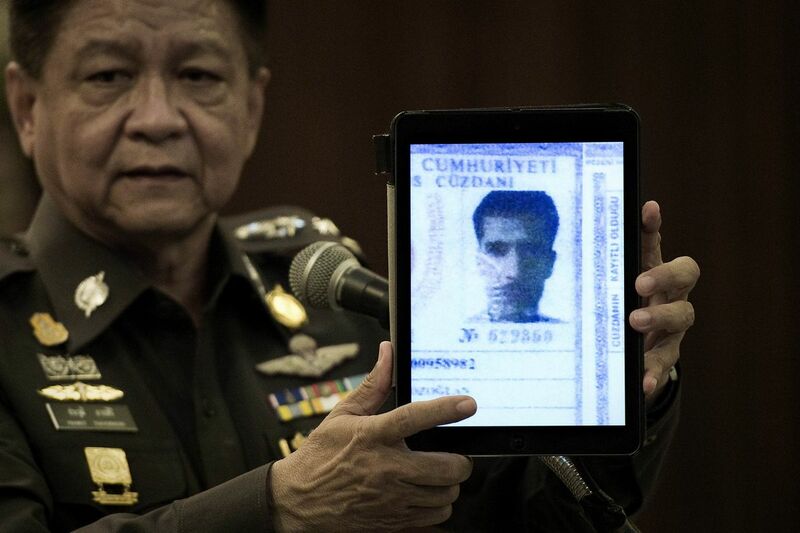 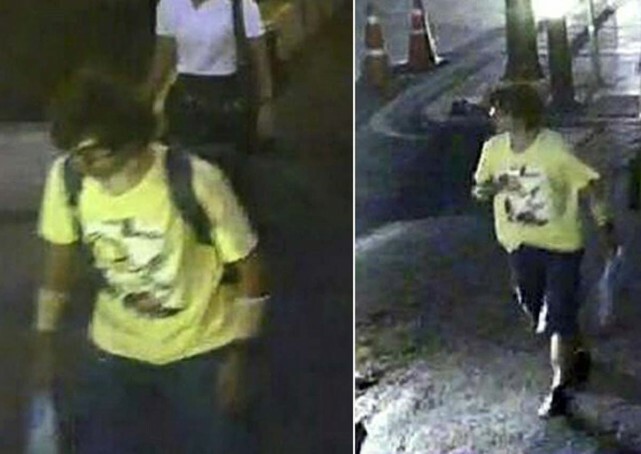 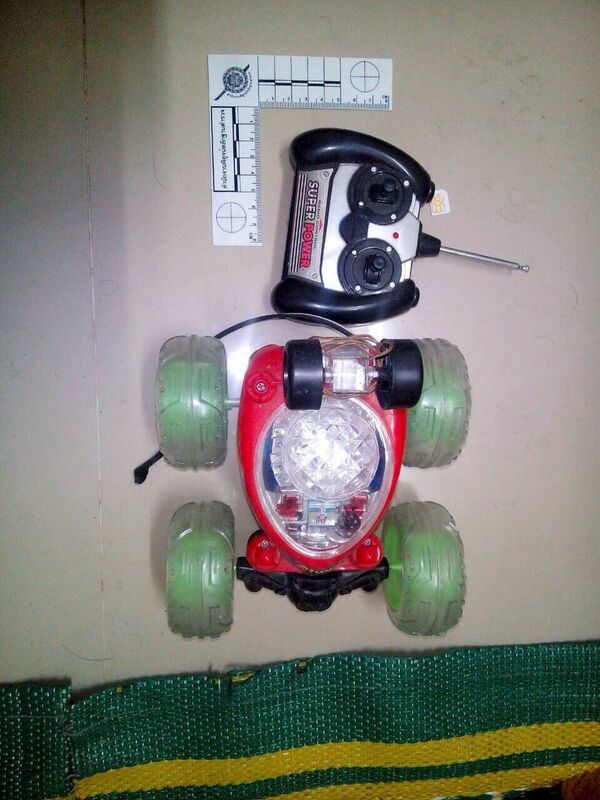 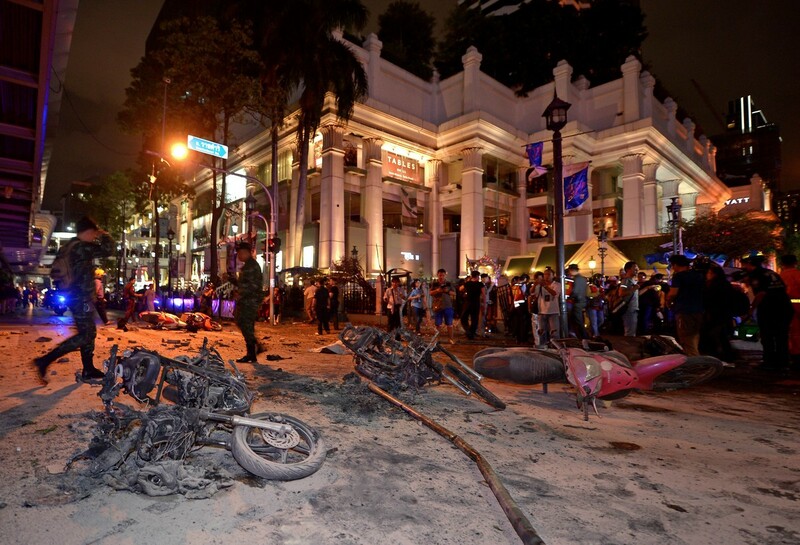 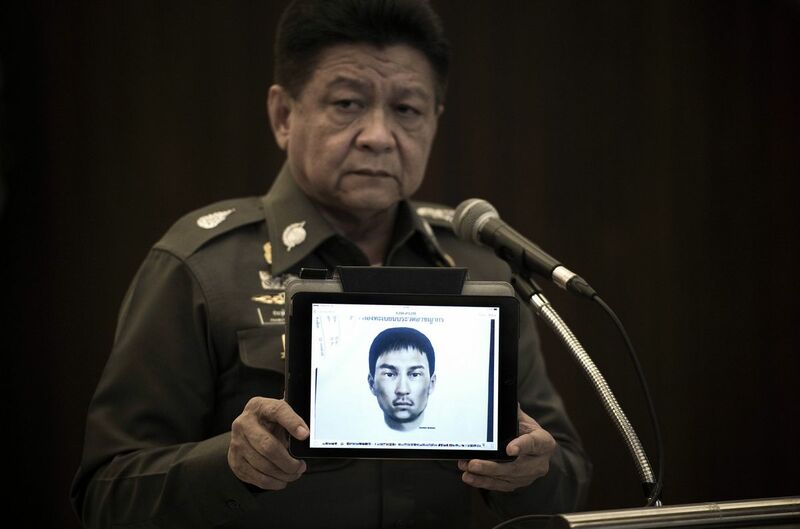 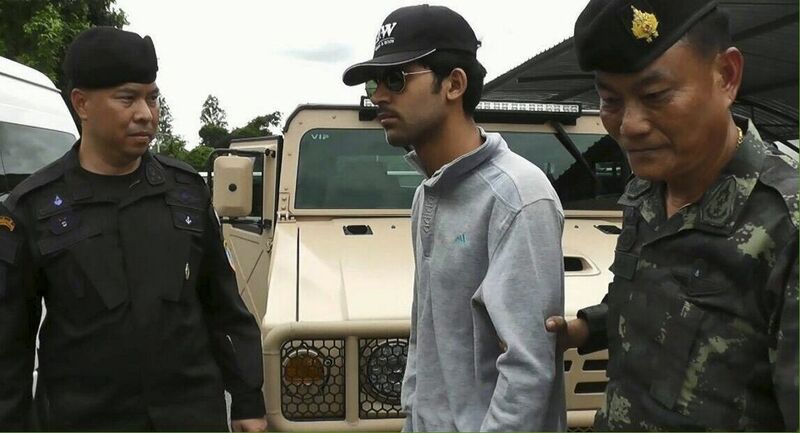 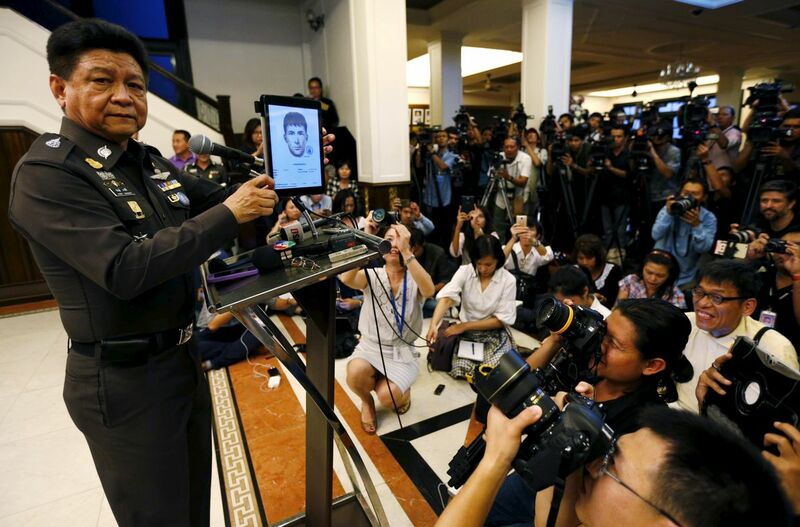 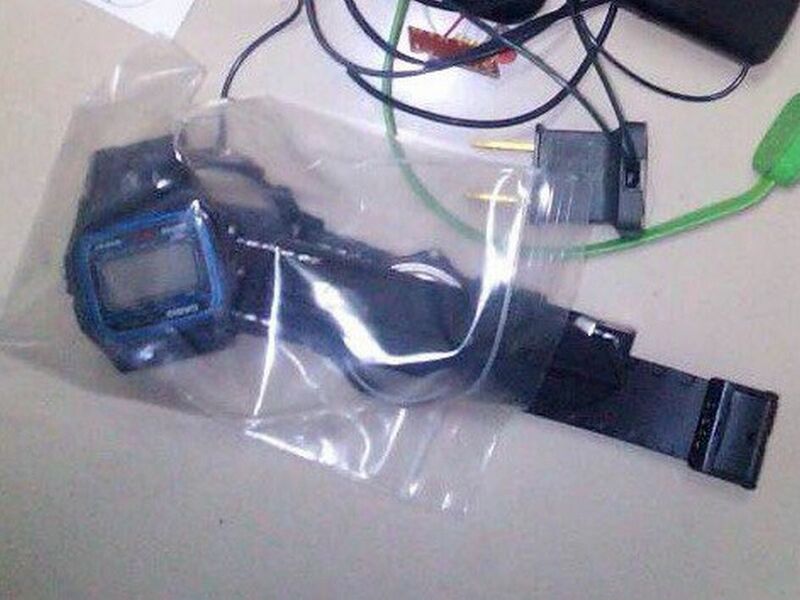 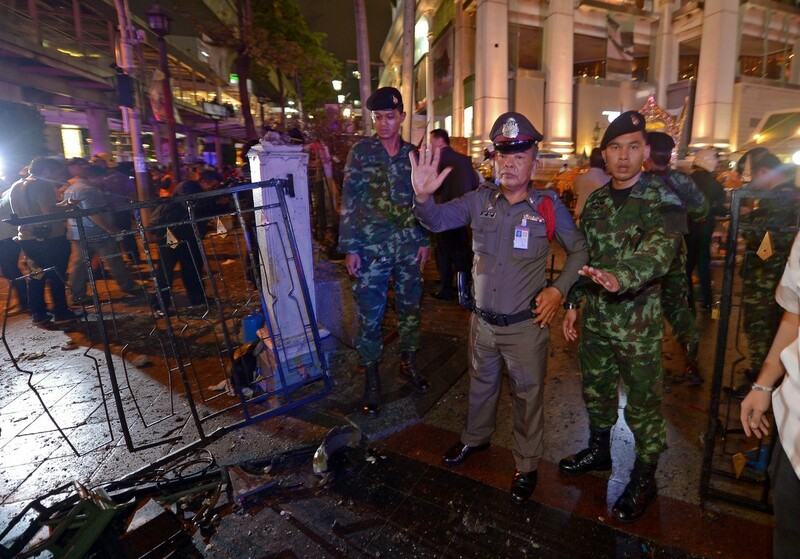 Thai journalist Prasitchai Kumbang had tweeted Burns' photo with security camera footage of the bombing suspect, drawing similarities from both photos. 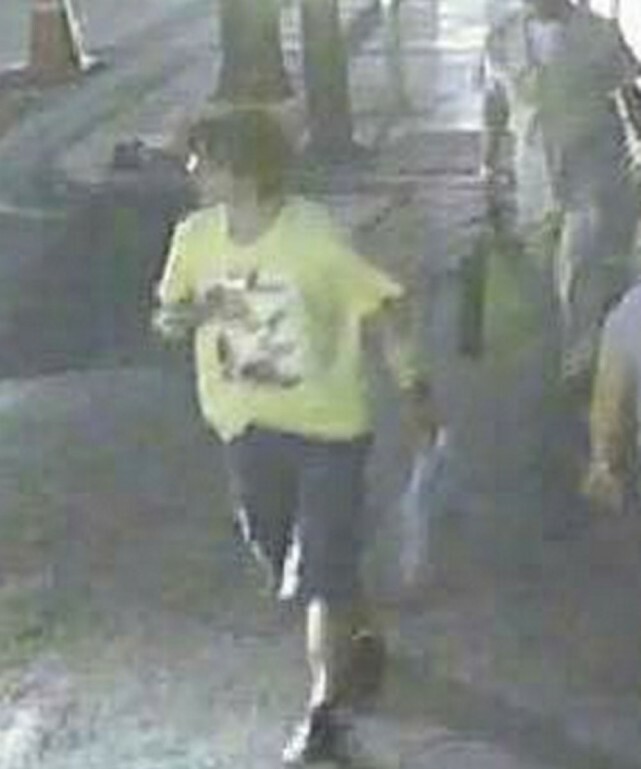 To clear his name after the tweet went viral, Burns voluntarily turned himself in to the police. 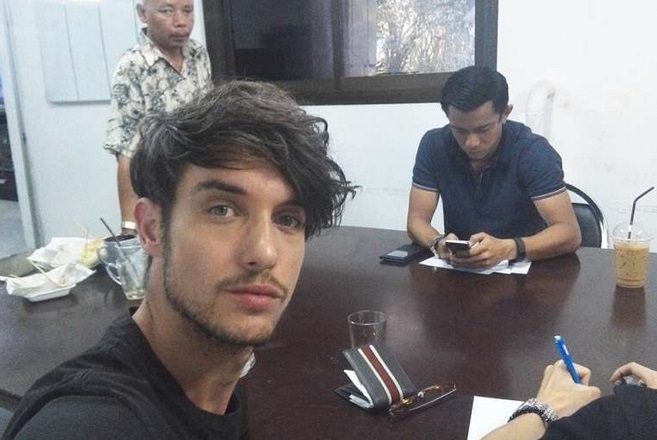 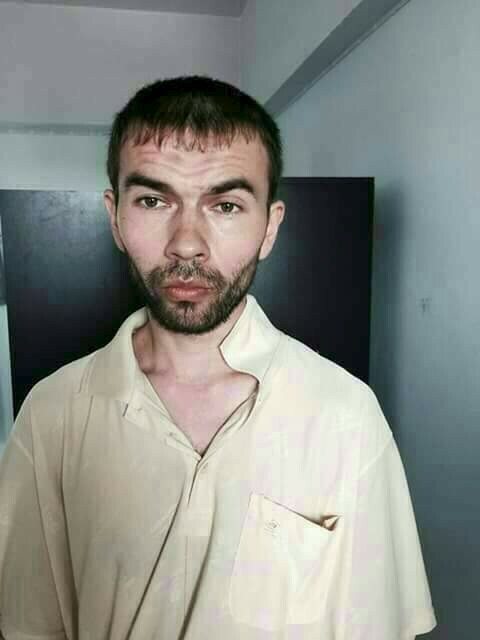 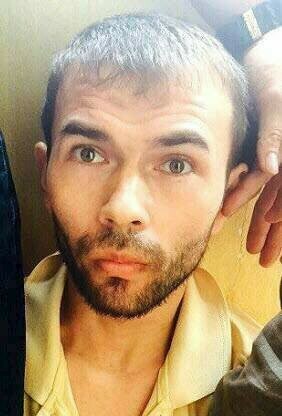 He posted a selfie taken while talking with the police, saying that he is not a terrorist but a "ting tong actor". 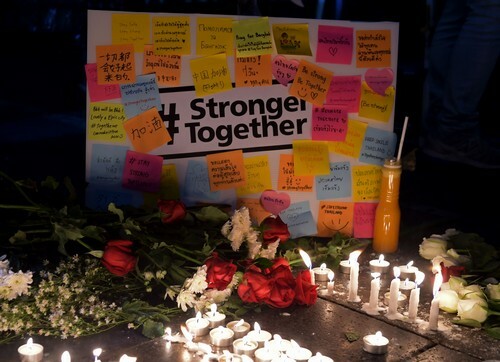 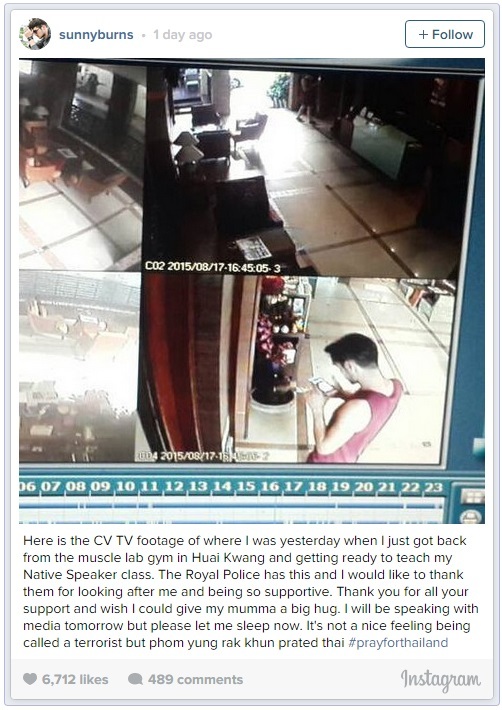 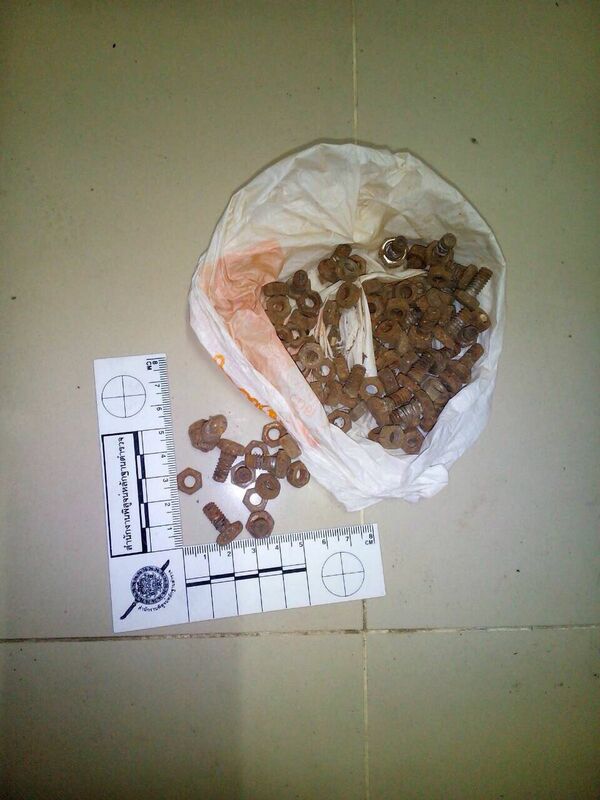 Subsequent posts describe police investigations taking place, followed by a security camera footage of himself returning from the gym and getting ready to teach his English class when the bombing happened. 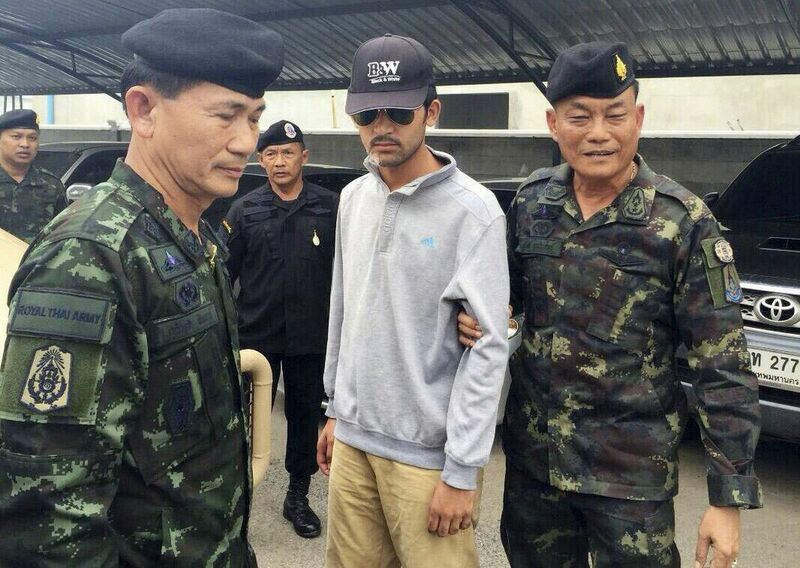 "I forgive everyone who spread those horrible rumours about me," he said. 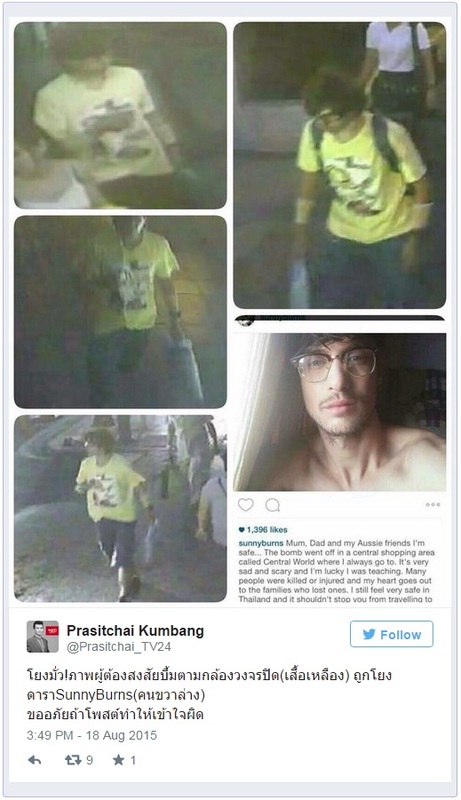 However, it is "not a nice feeling being called a terrorist", he added in his last post. 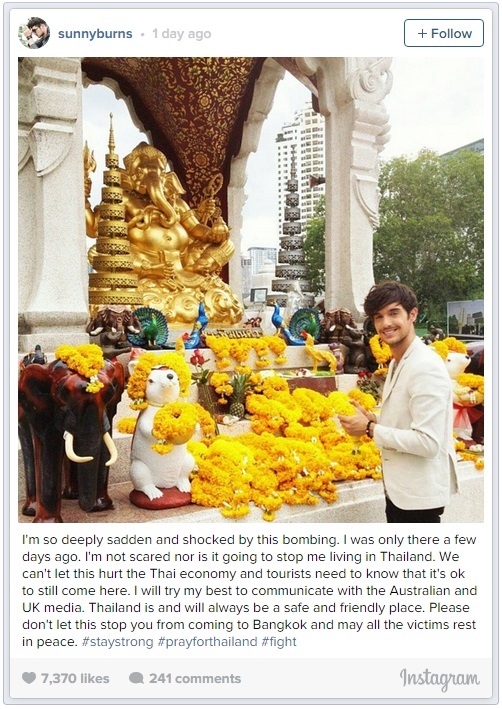 Prasitchai has apologised for the misleading post. 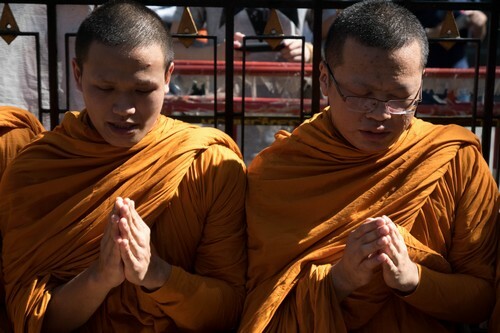 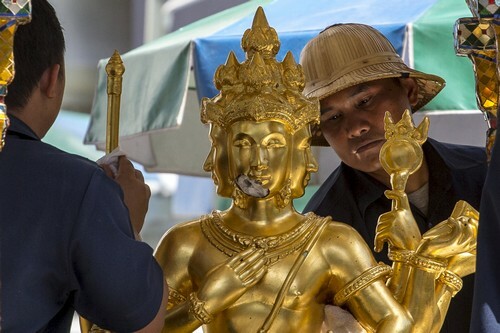 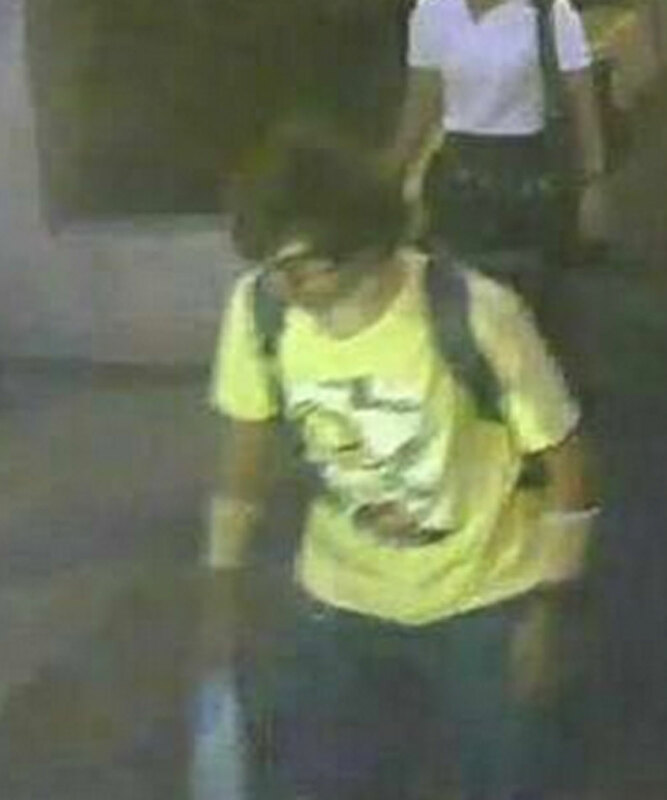 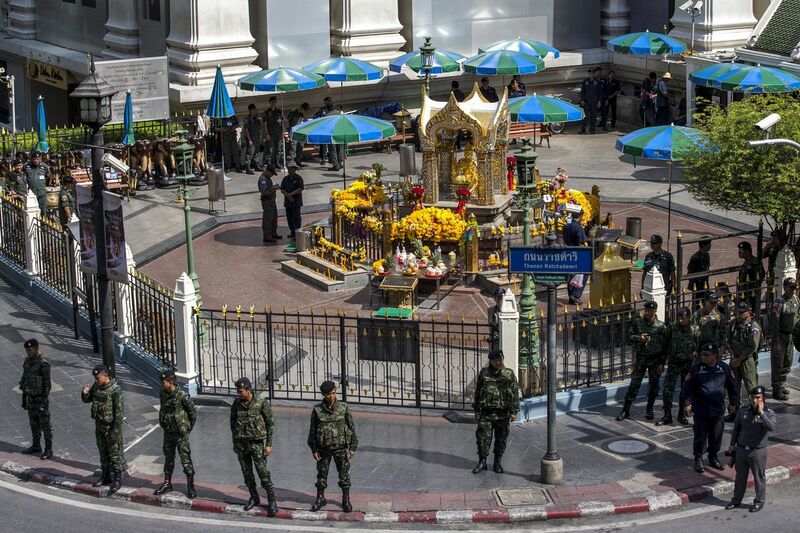 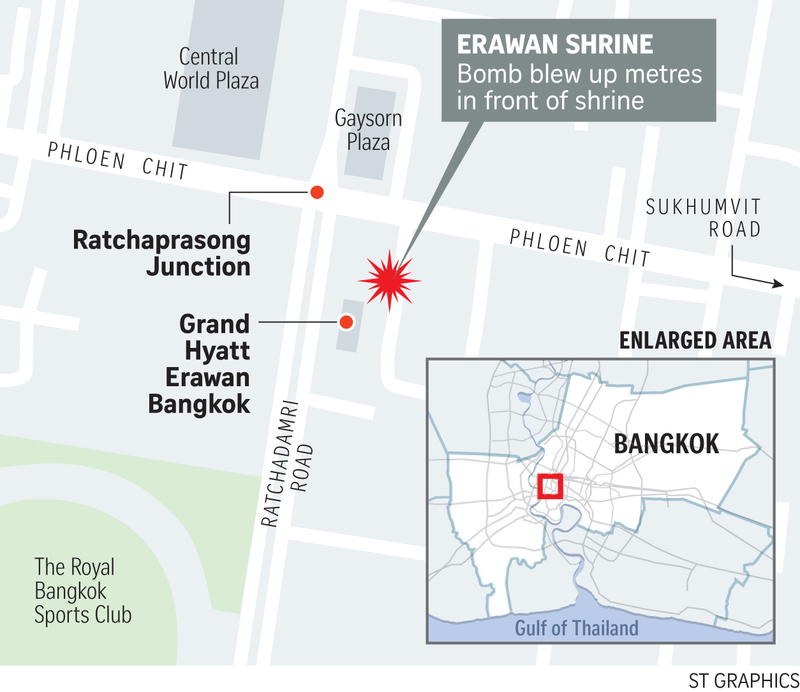 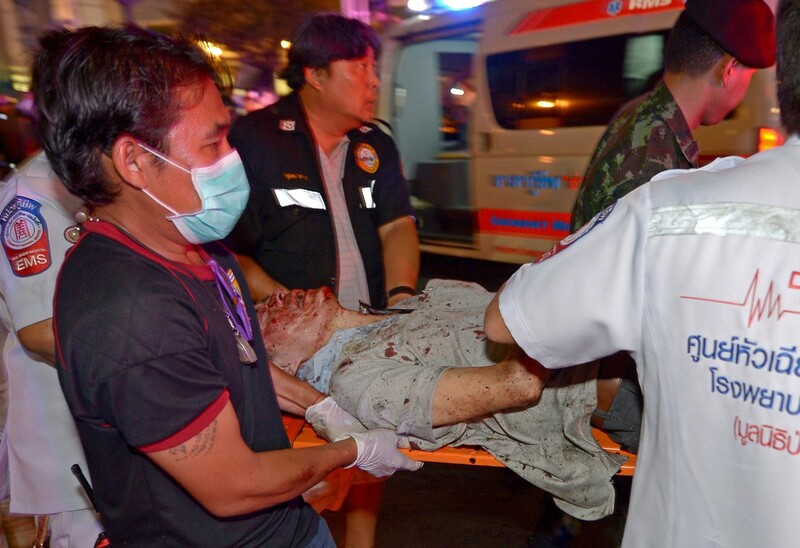 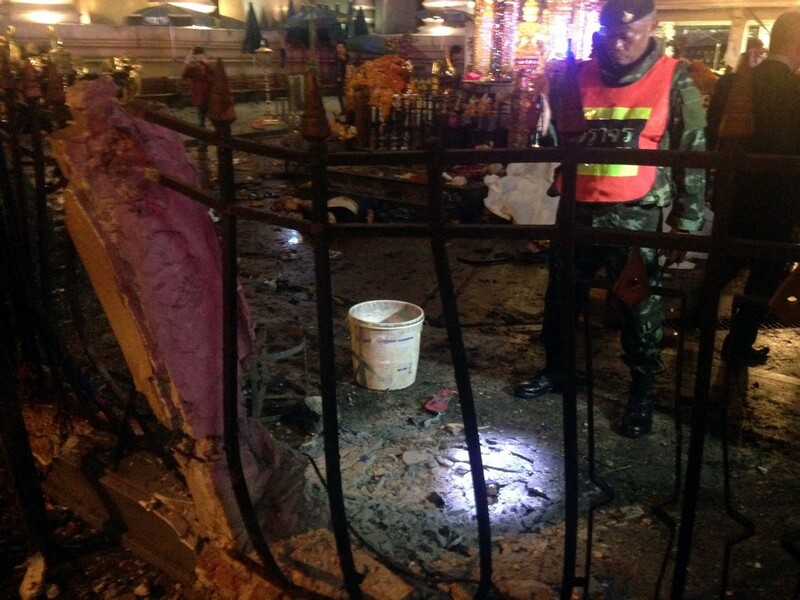 The Thai authorities are still looking for the man seen in CCTV footage leaving his bag at the shrine and walking away just before Monday's deadly explosion.